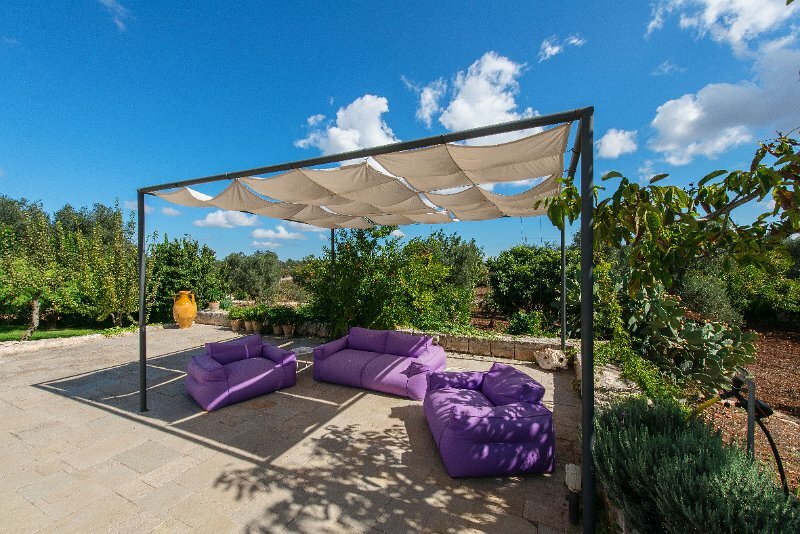 This beautiful villa is located just 10 minutes drive from the historic town of Ceglie, quiet amid the idyllic natural landscape, pursuing the philosophy of “slow ” in relation to nature. 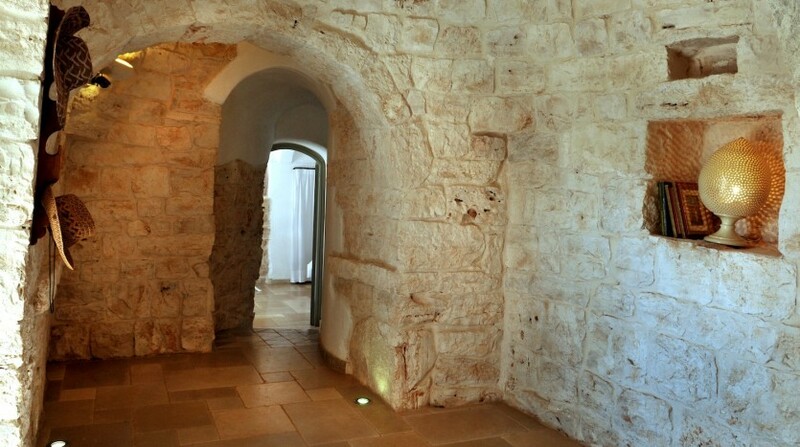 The renovation of the Villa took place in accordance with the architectural characteristics of the region, to preserve the ancient charm of the building . 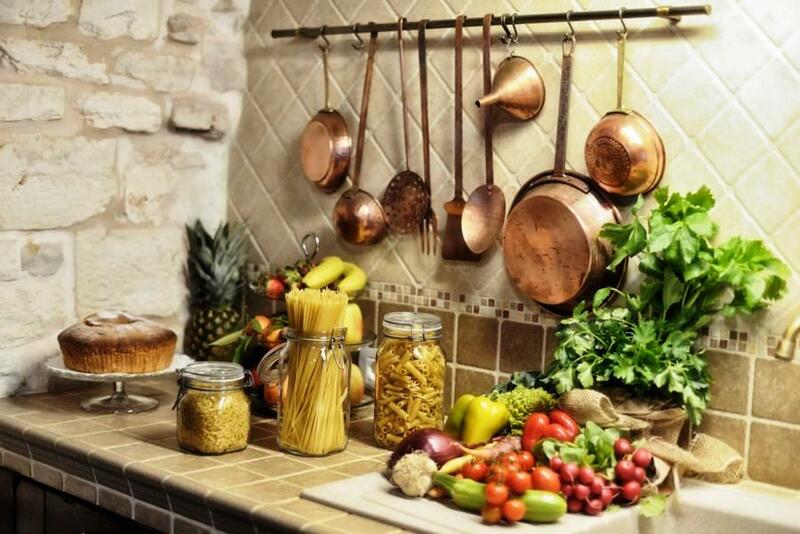 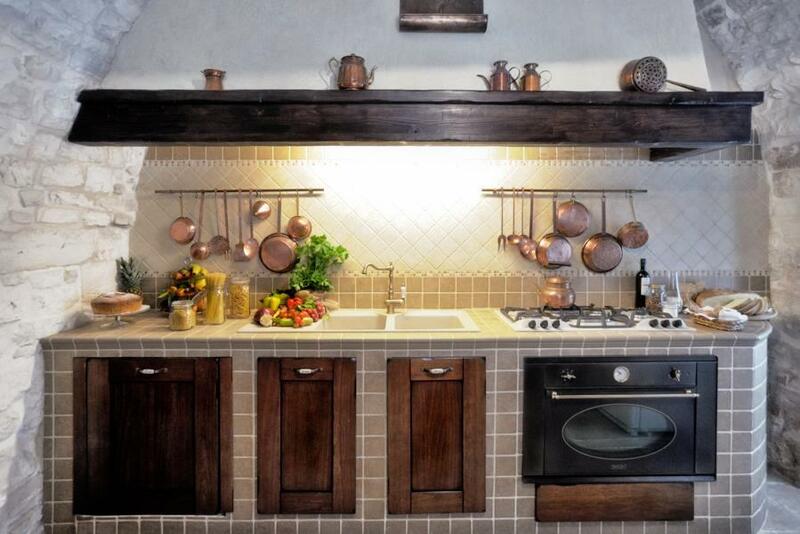 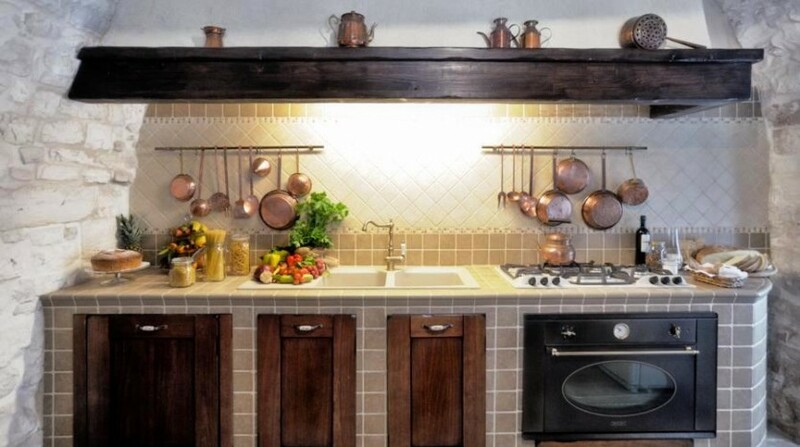 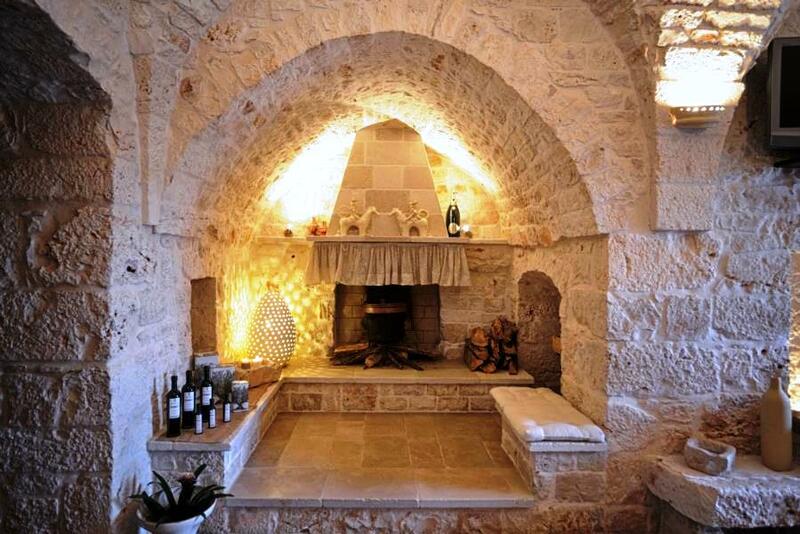 The rooms of the villa were once Inventories of agricultural products, stables for animals. 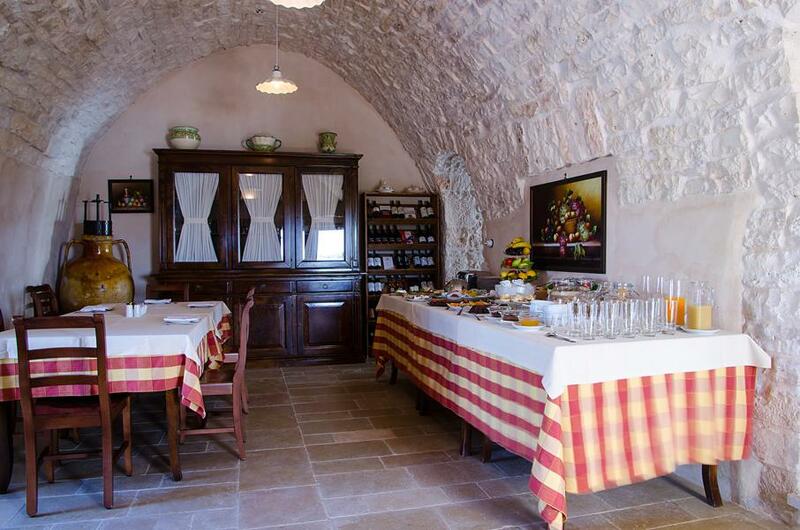 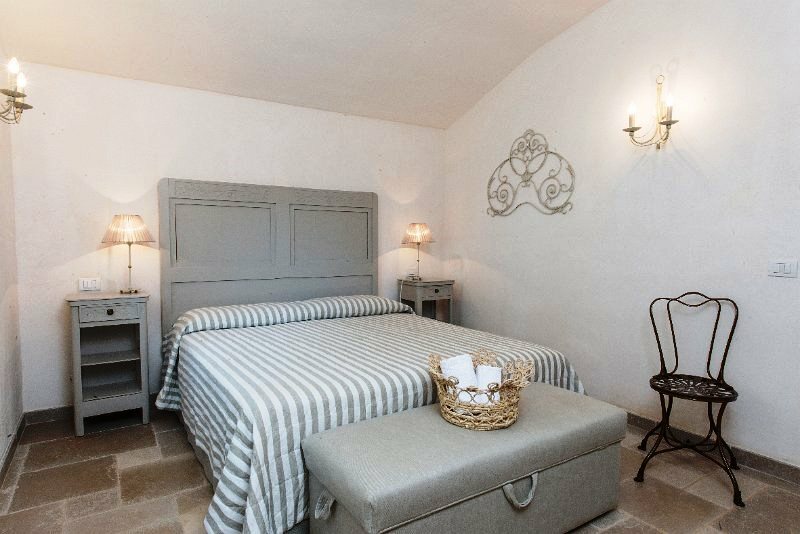 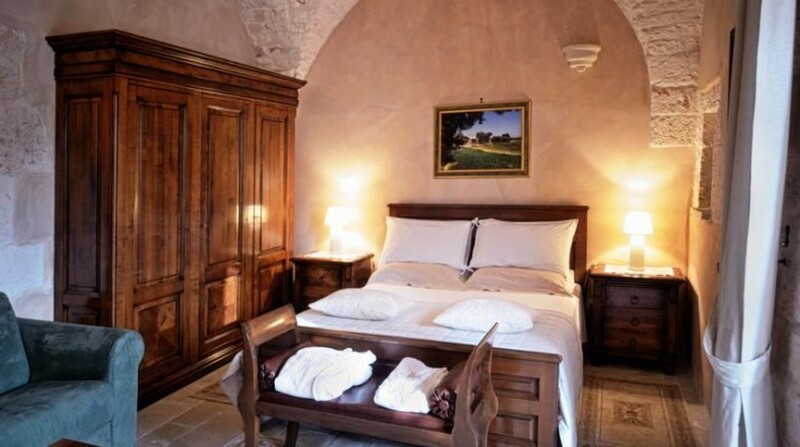 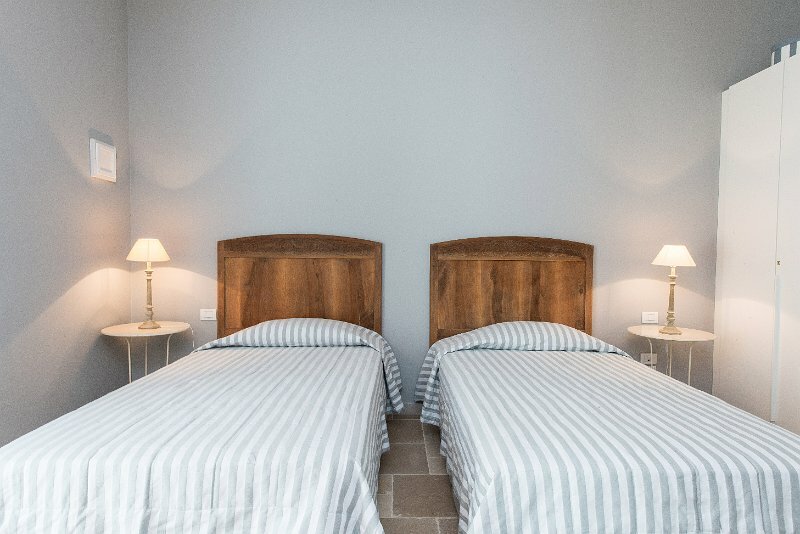 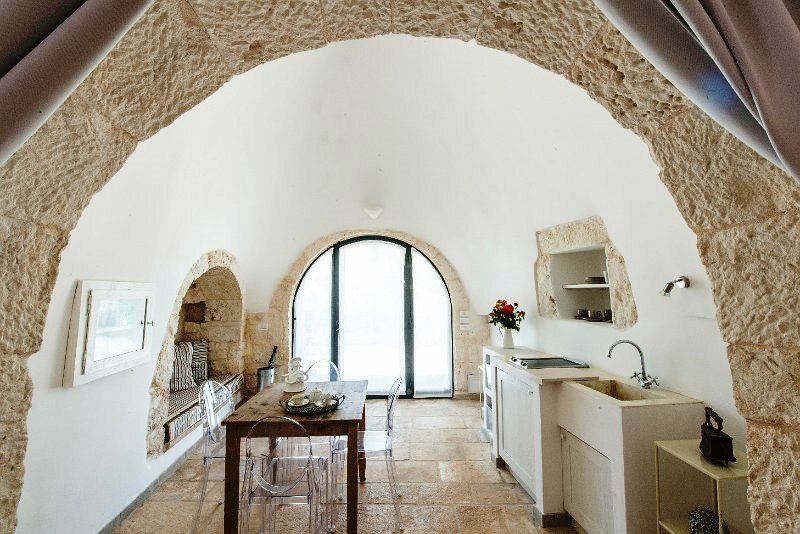 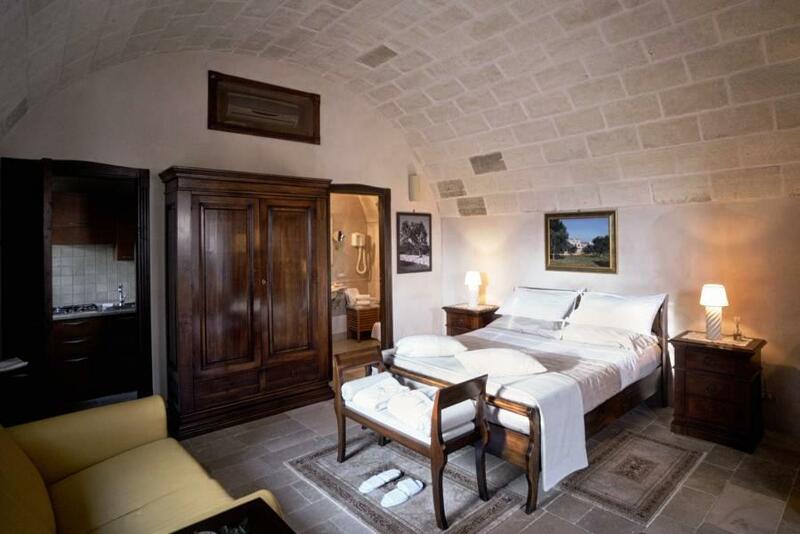 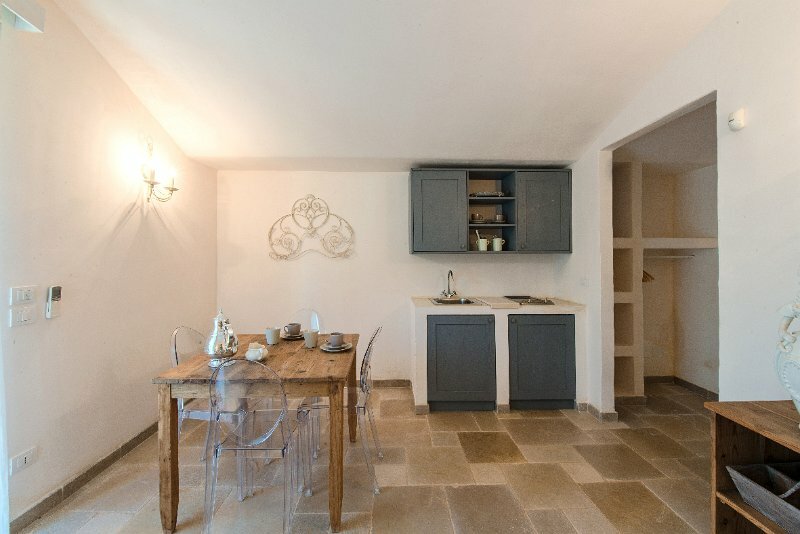 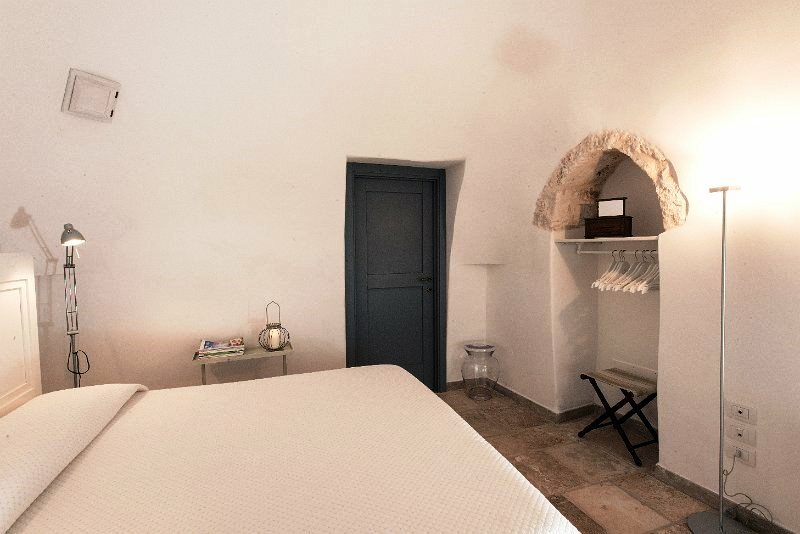 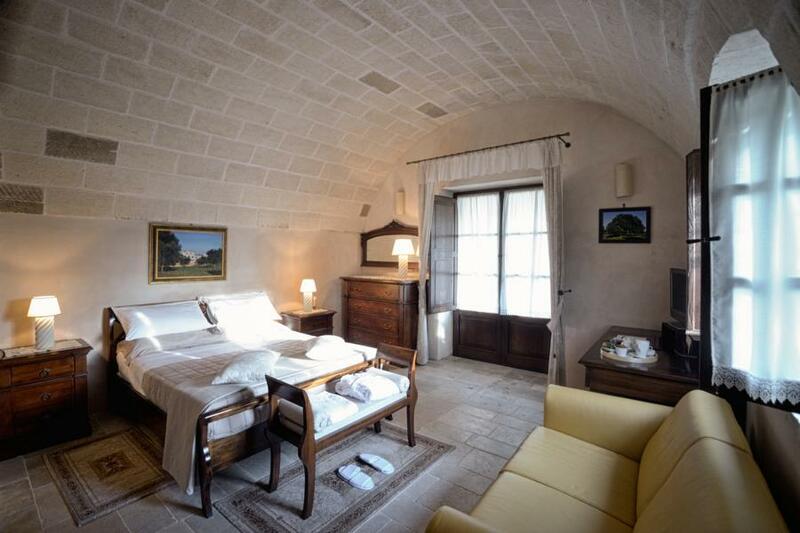 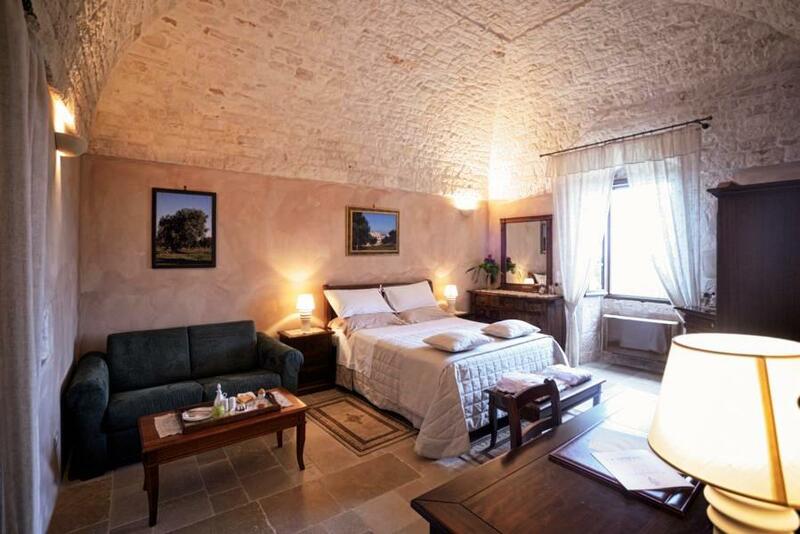 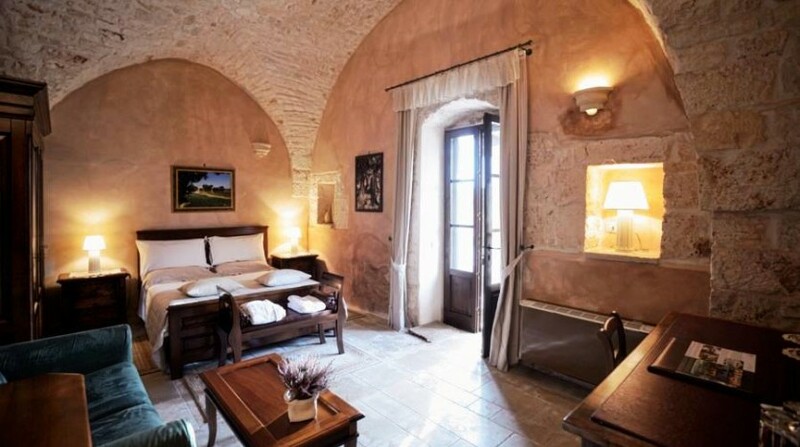 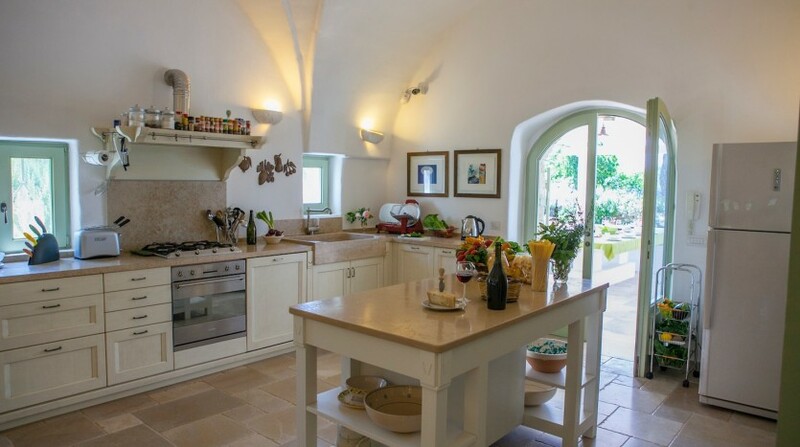 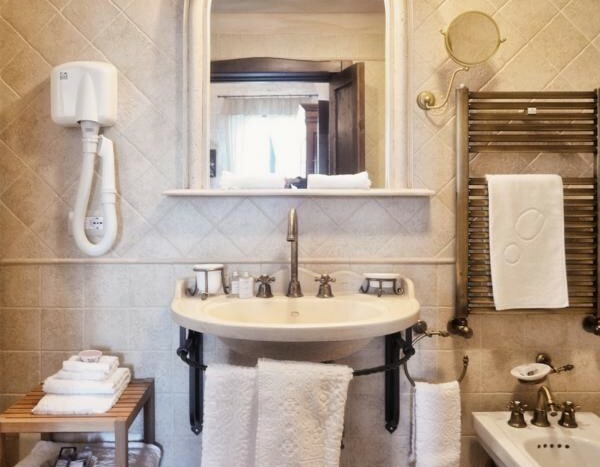 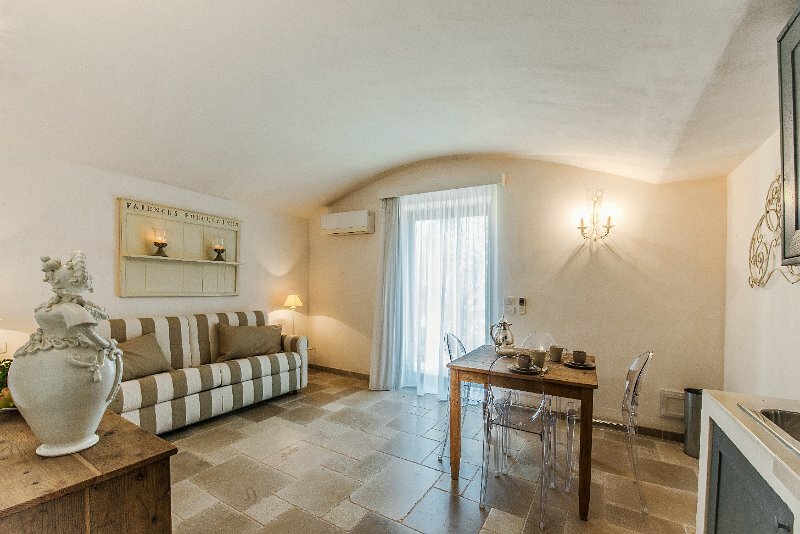 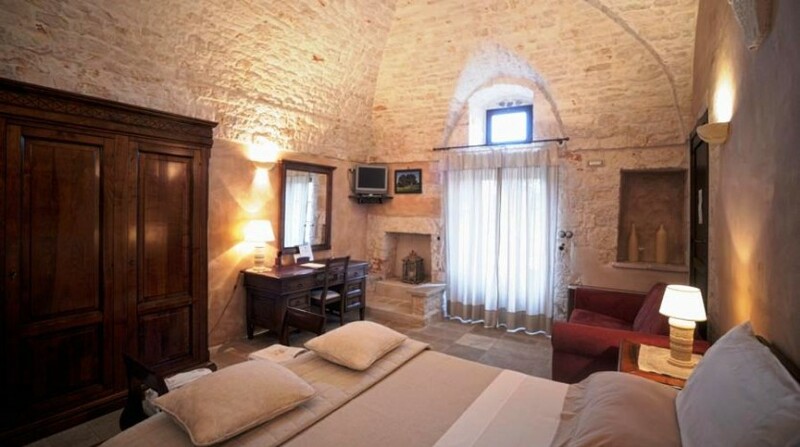 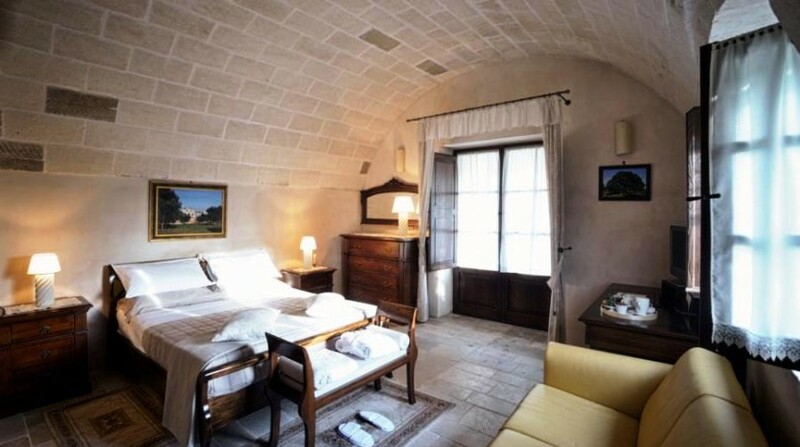 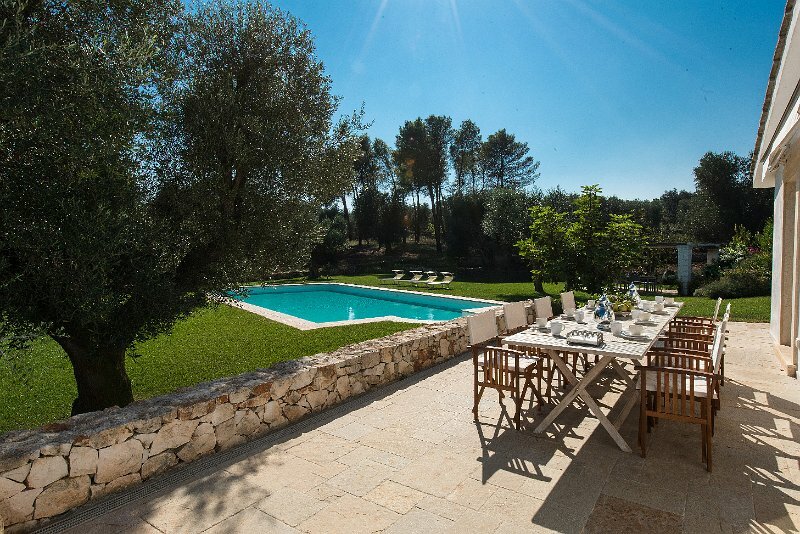 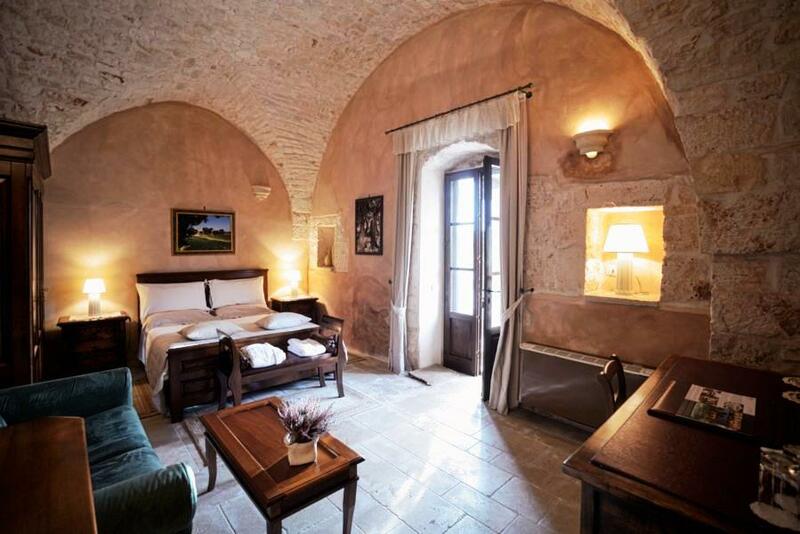 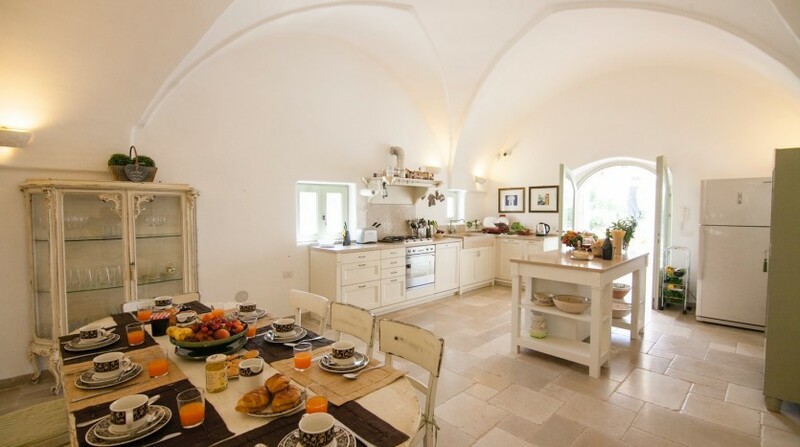 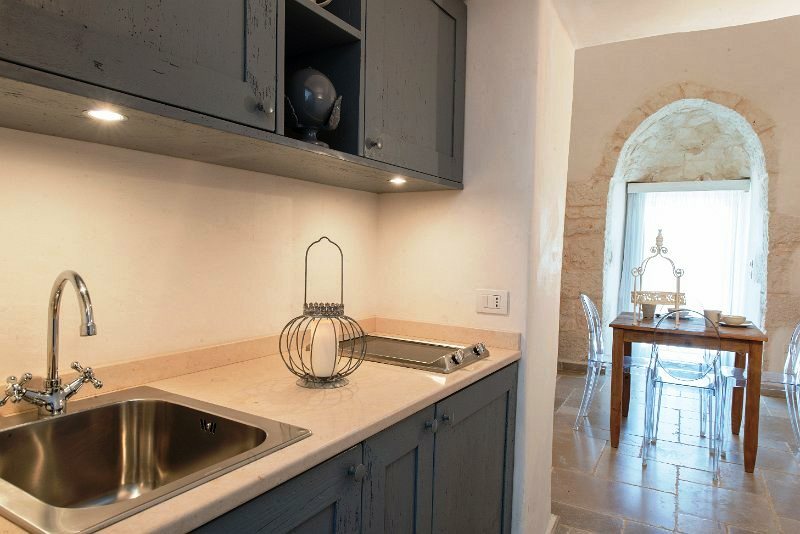 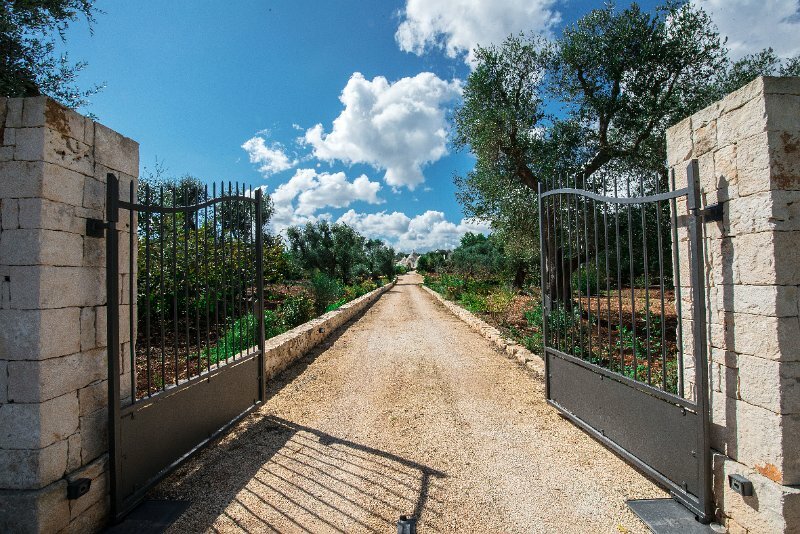 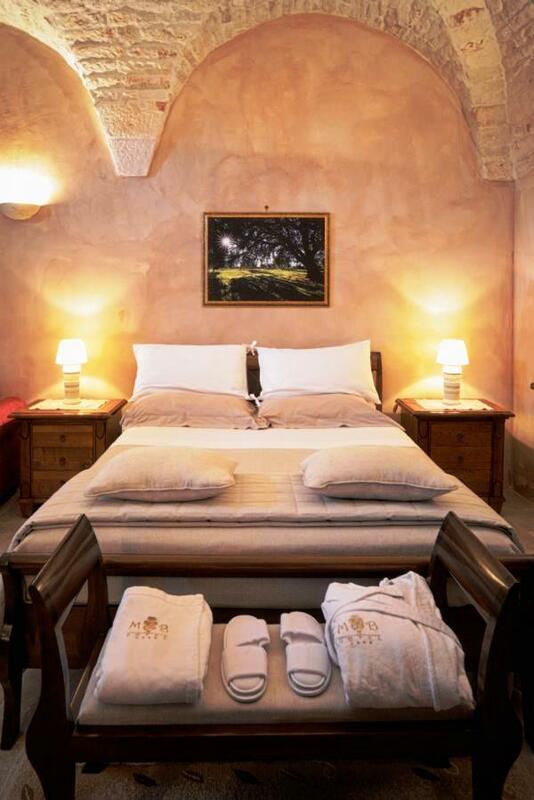 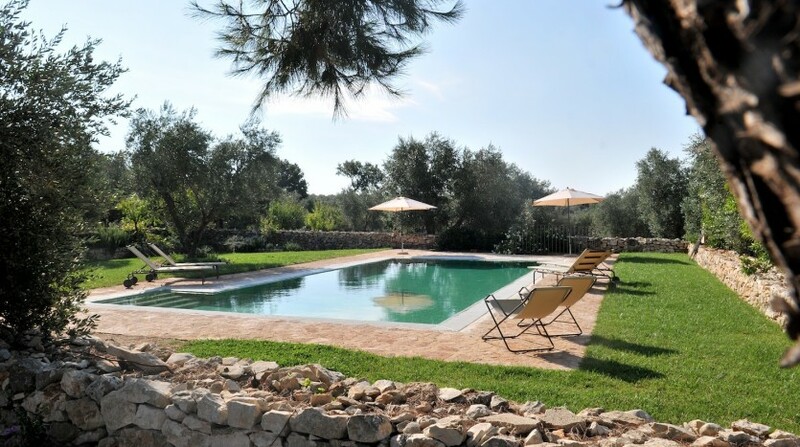 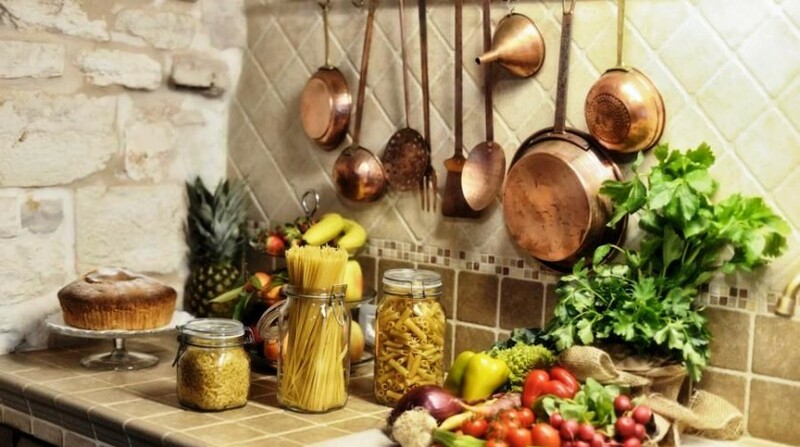 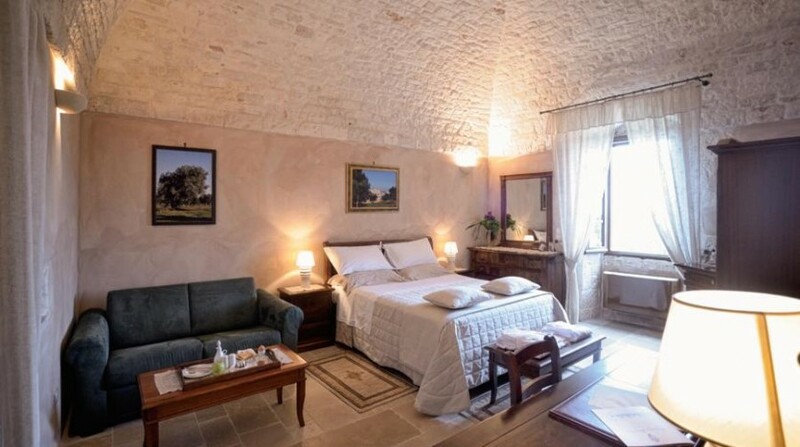 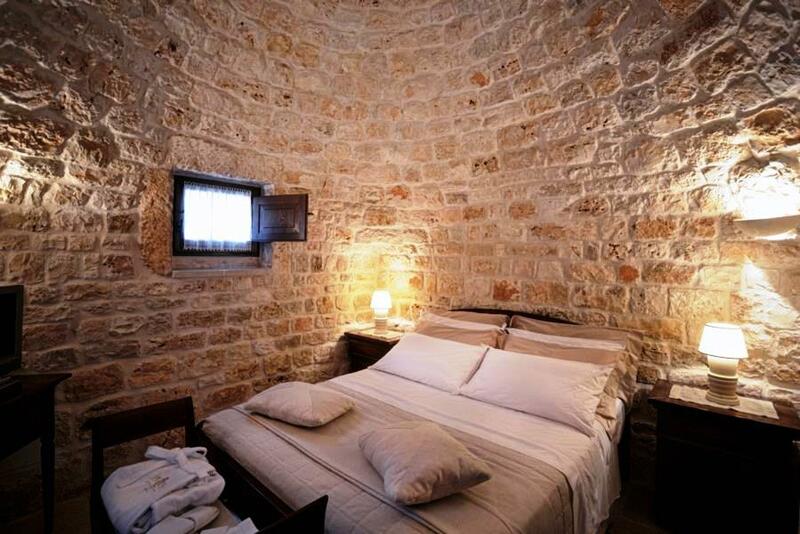 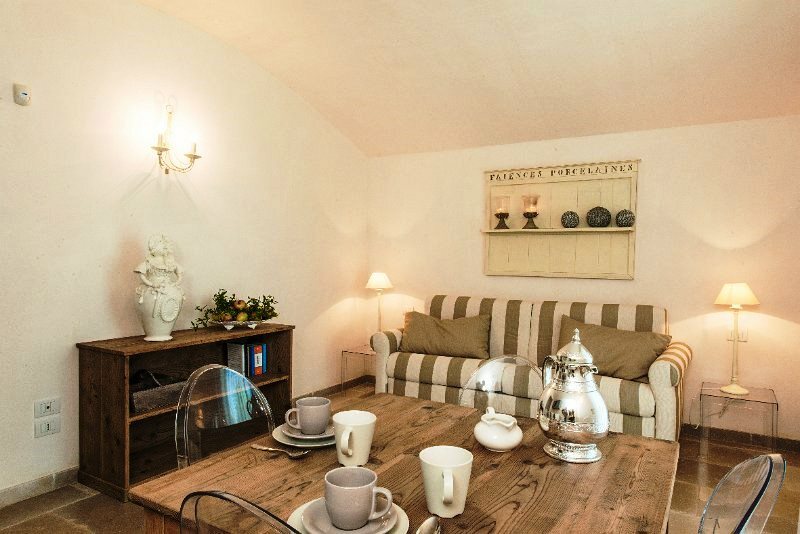 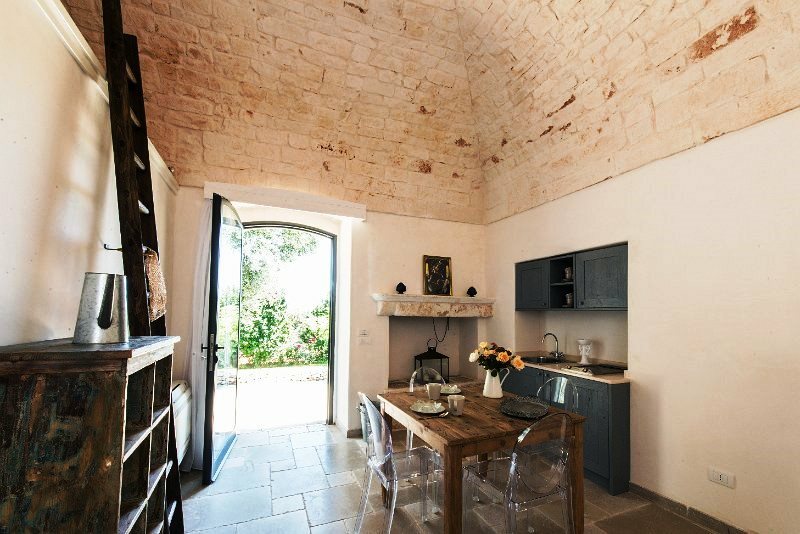 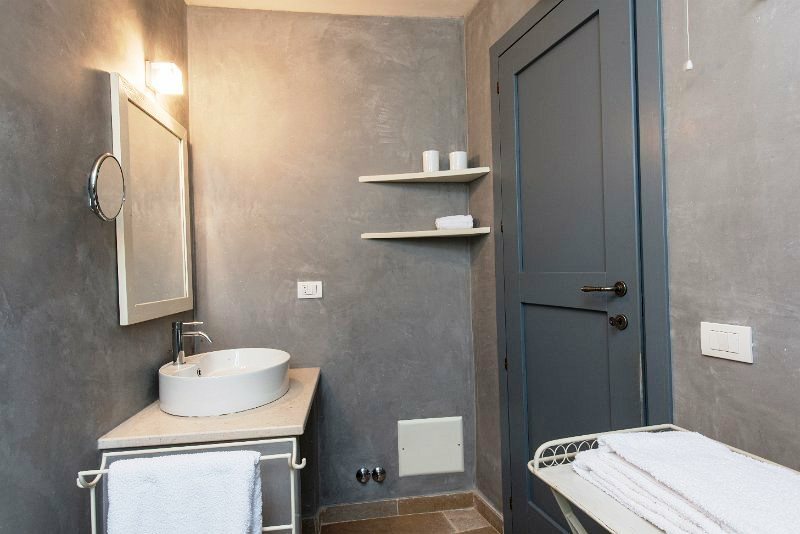 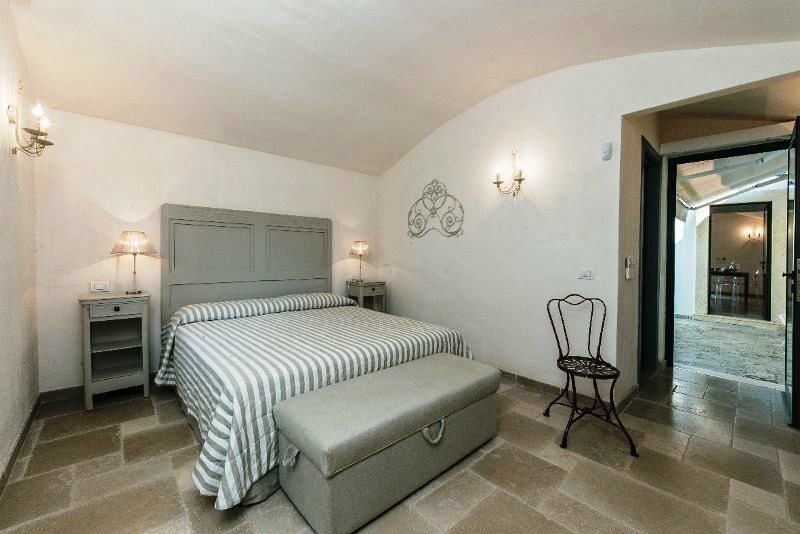 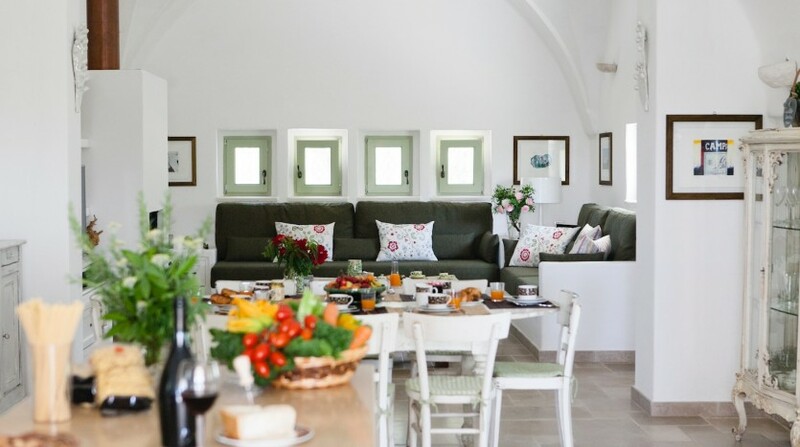 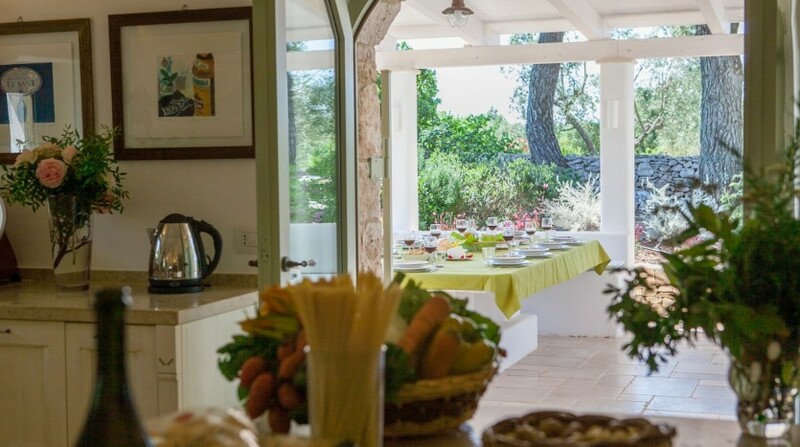 Guests will find a charming atmosphere of the former rural life of the farms of Puglia, with 6 spacious bedrooms, 6 bathrooms, a large dining room with adjoining kitchen, a reading room and a TV room. 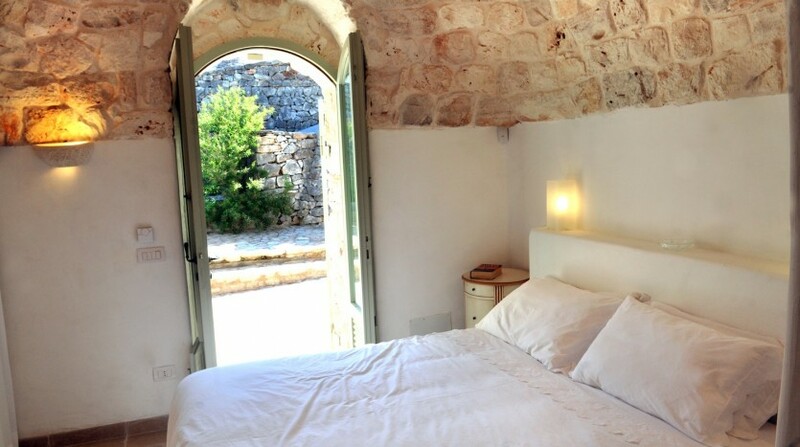 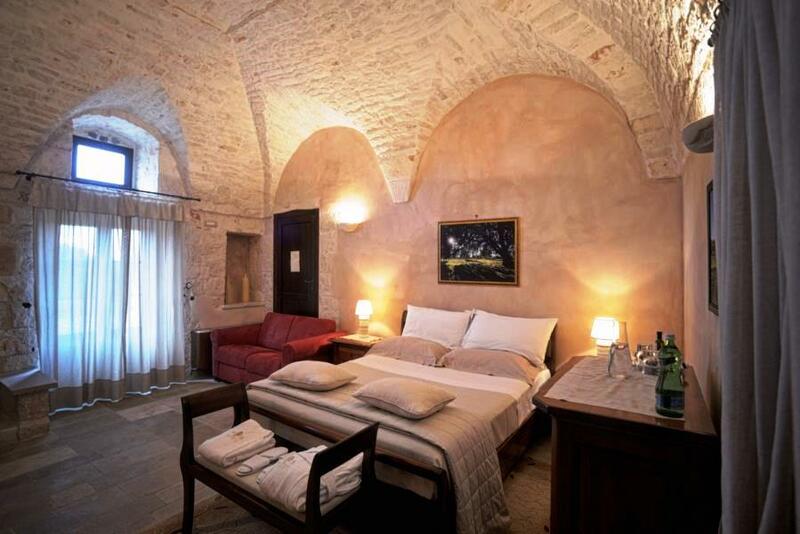 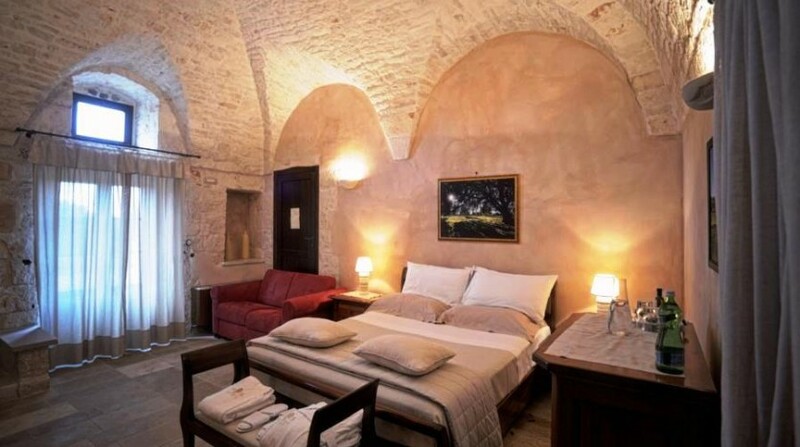 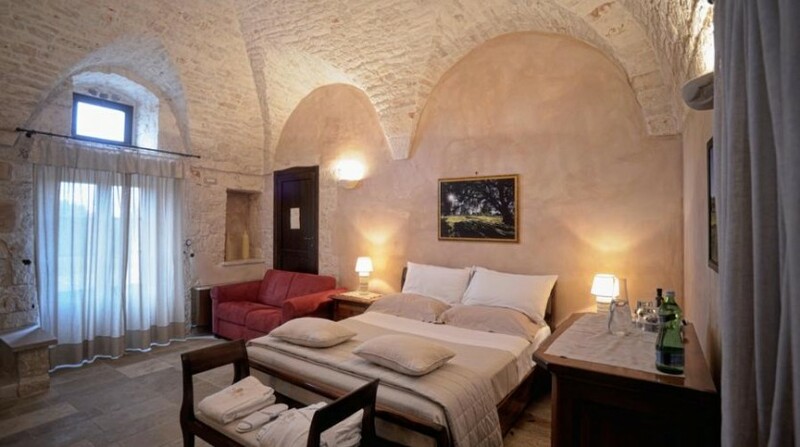 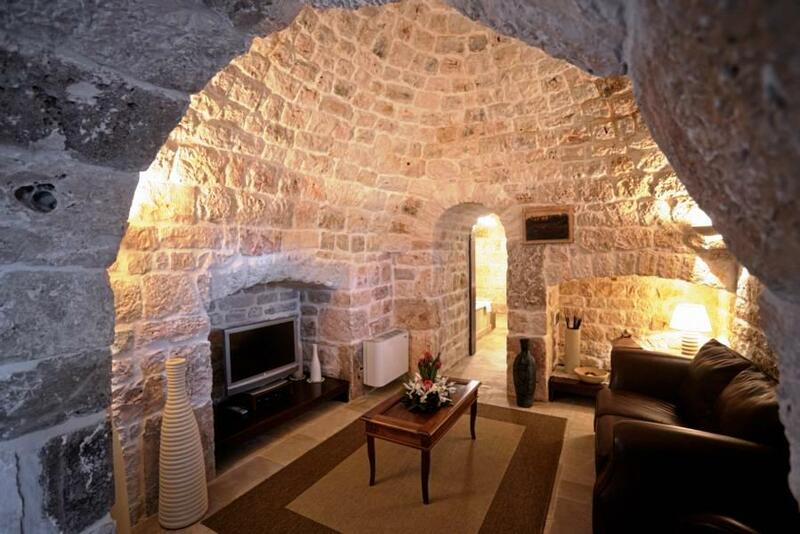 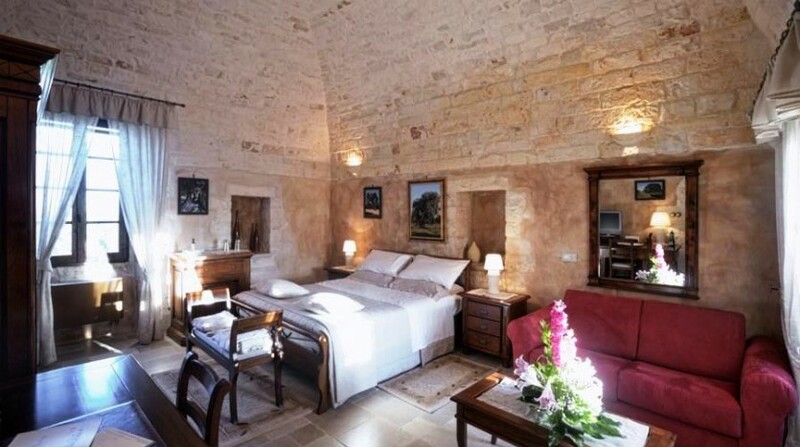 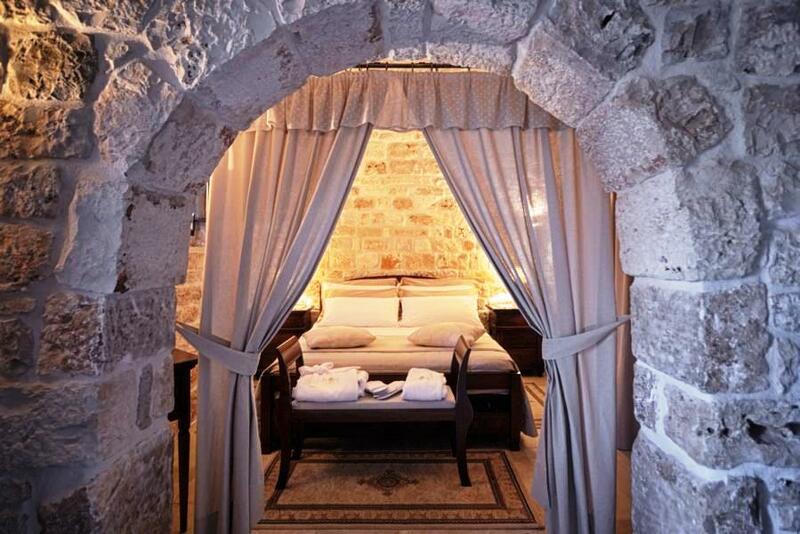 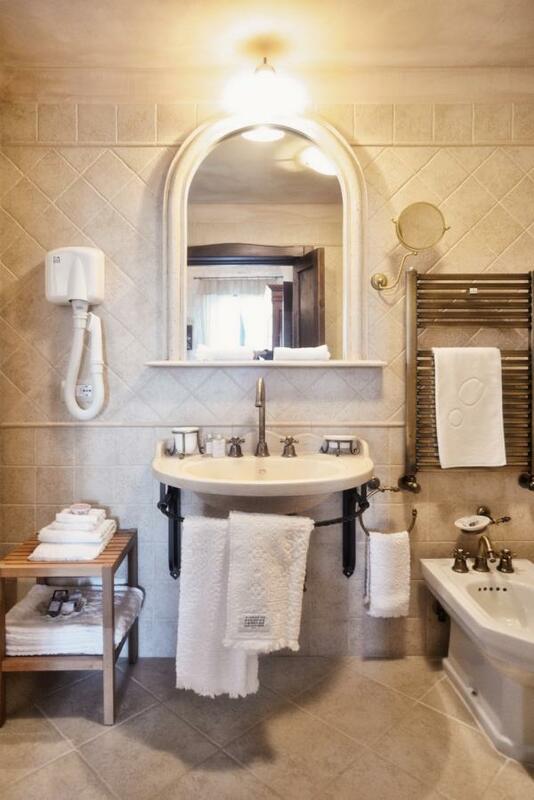 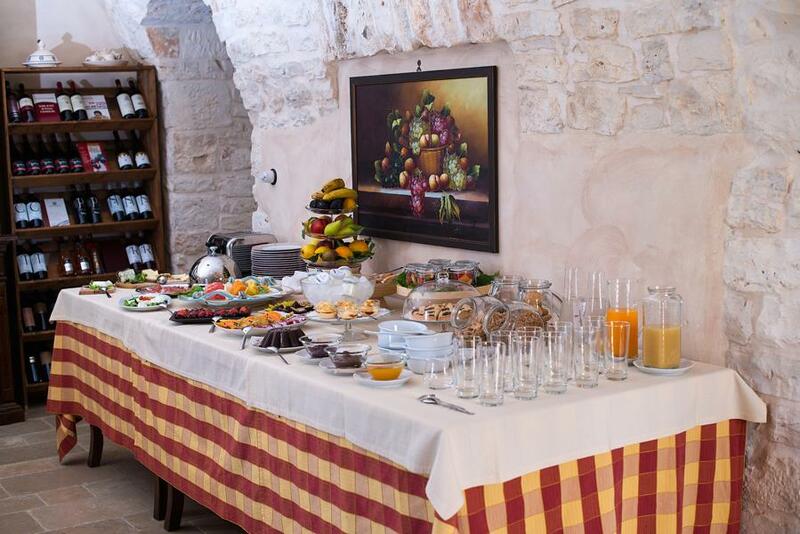 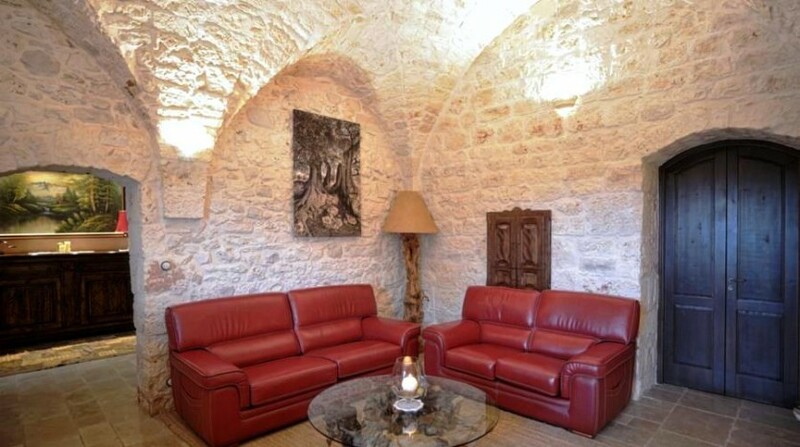 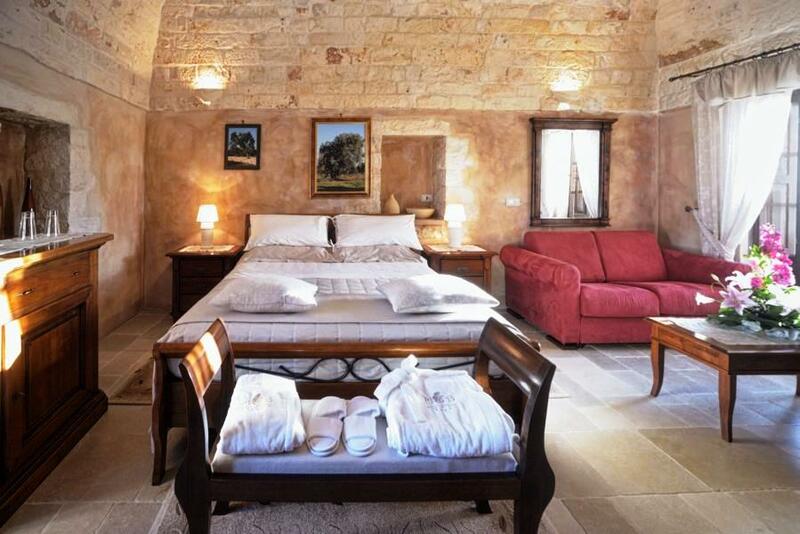 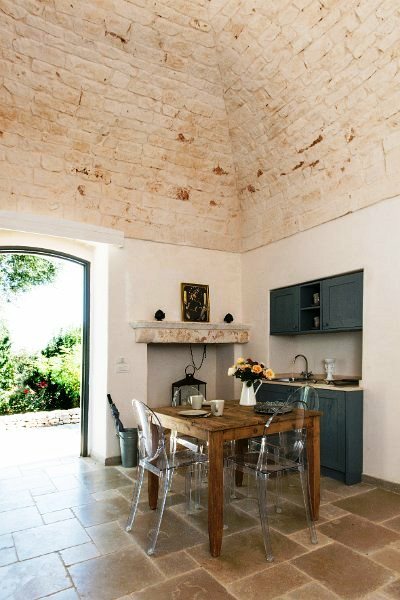 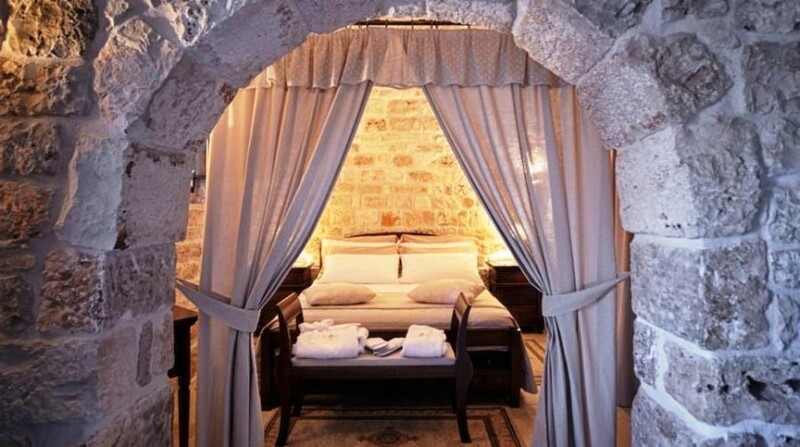 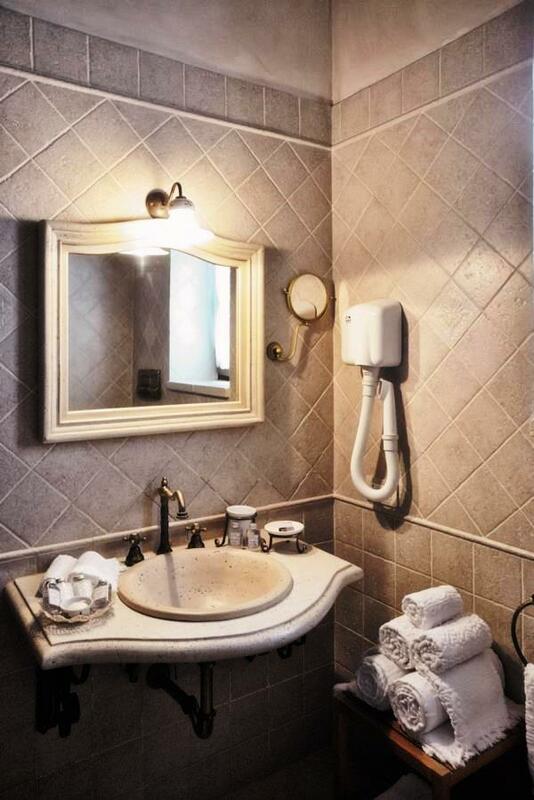 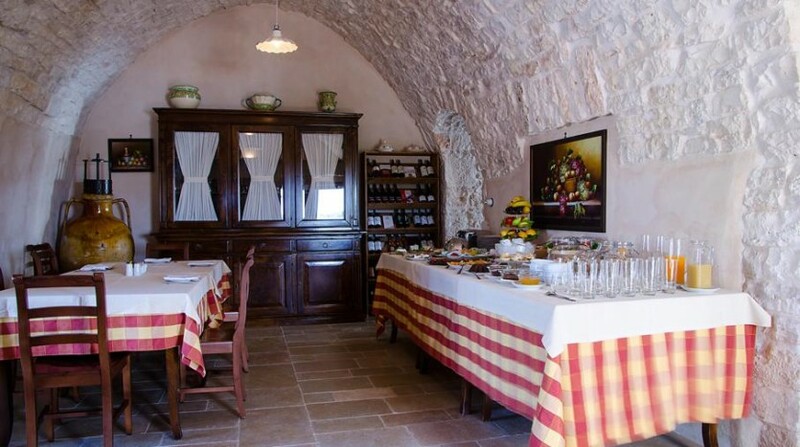 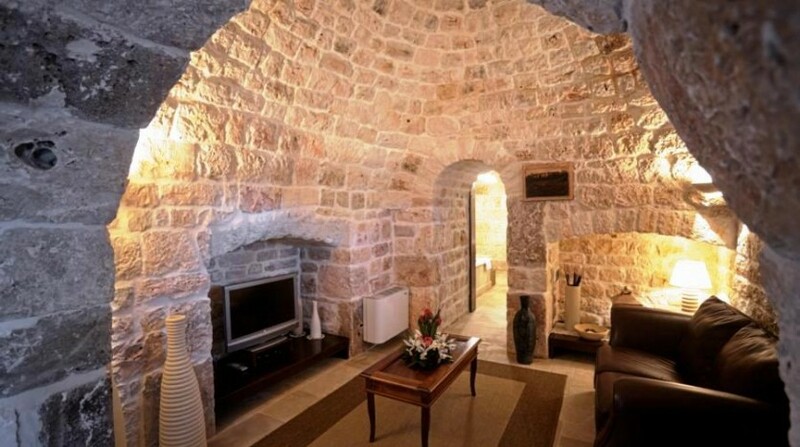 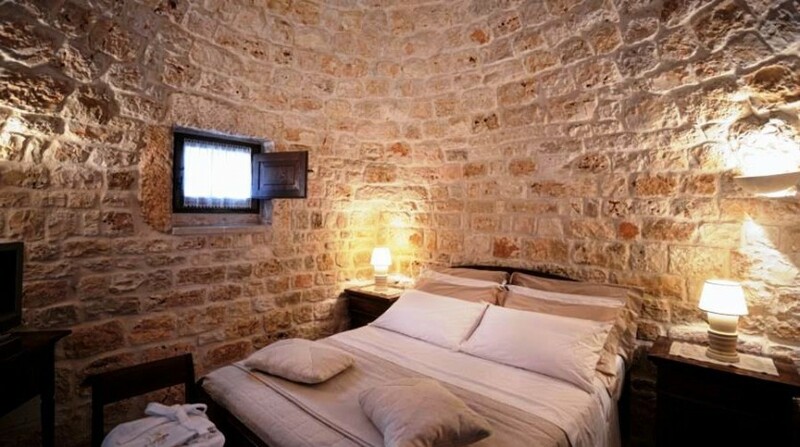 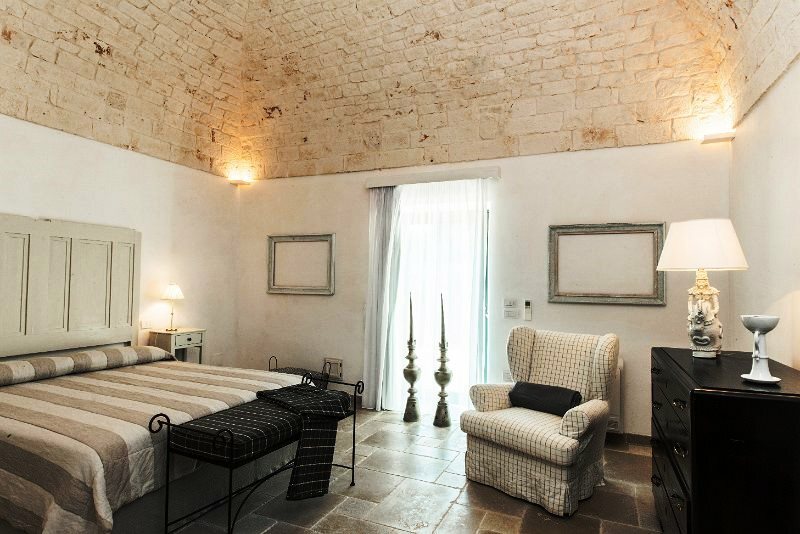 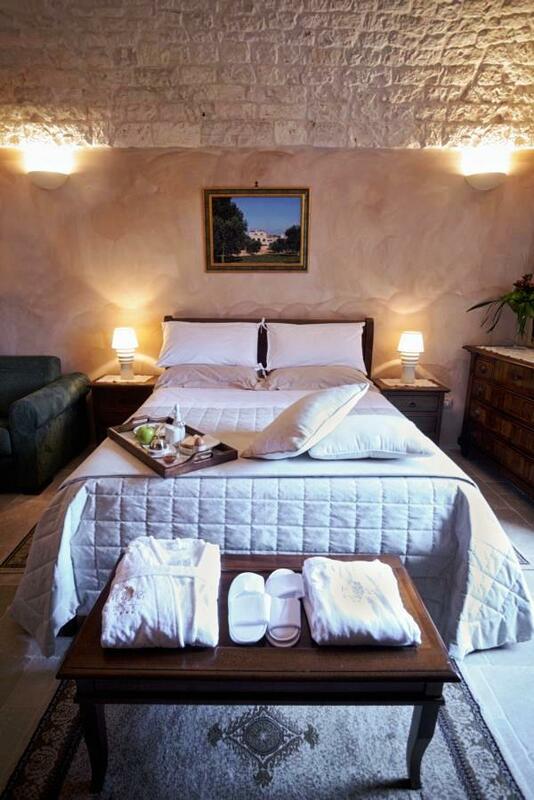 The rooms with vaulted stone ceilings are all with air conditioned, overlook the gardens and pool of the property. 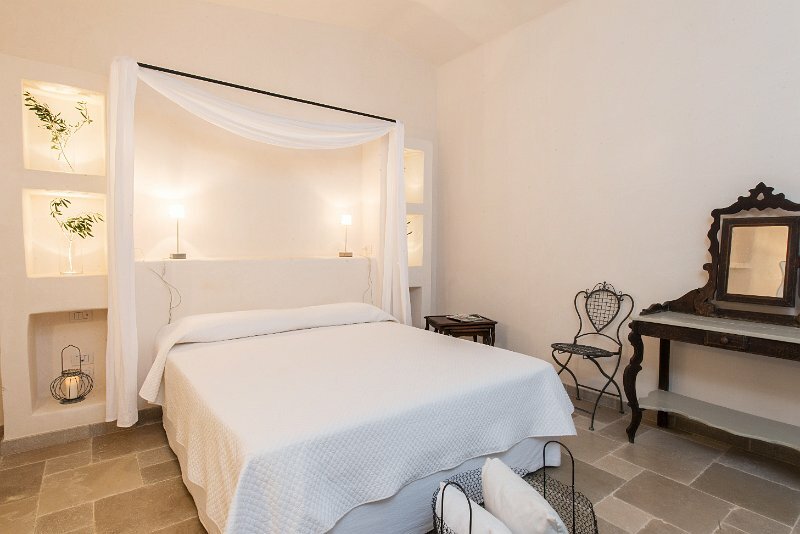 The rooms characterize the solid wood furniture, soft fabrics in shades of sand and white, historic paintings and hand-embroidered linens. 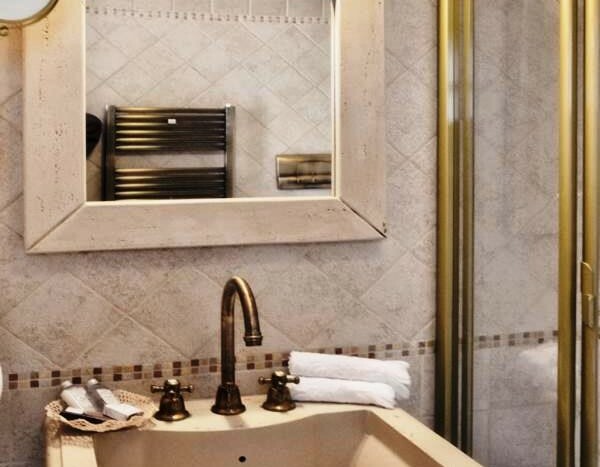 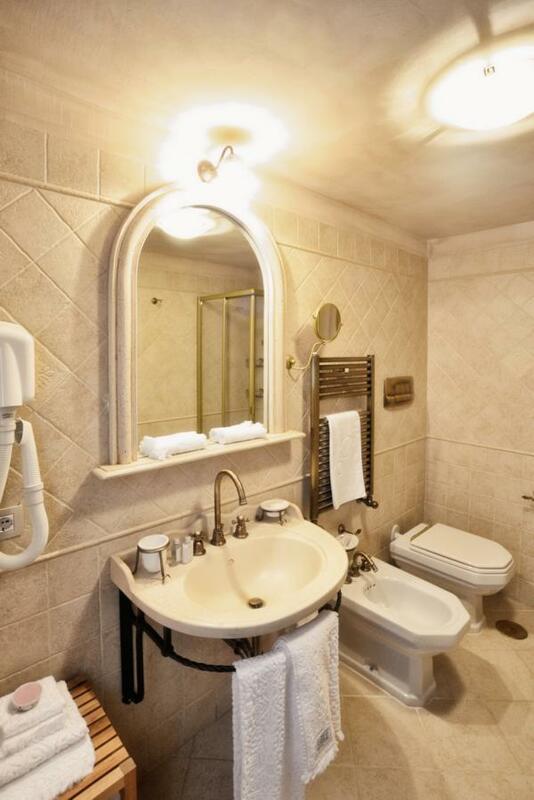 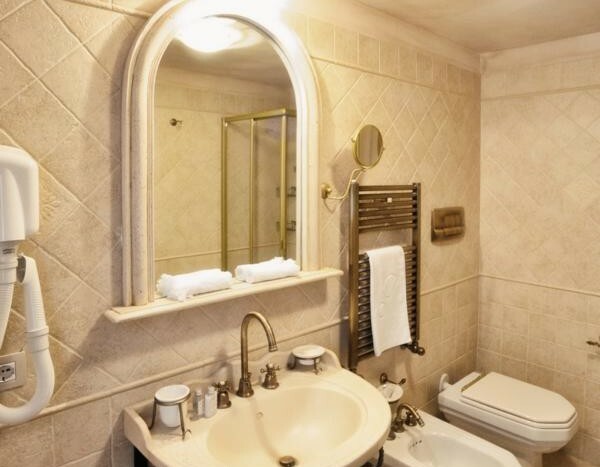 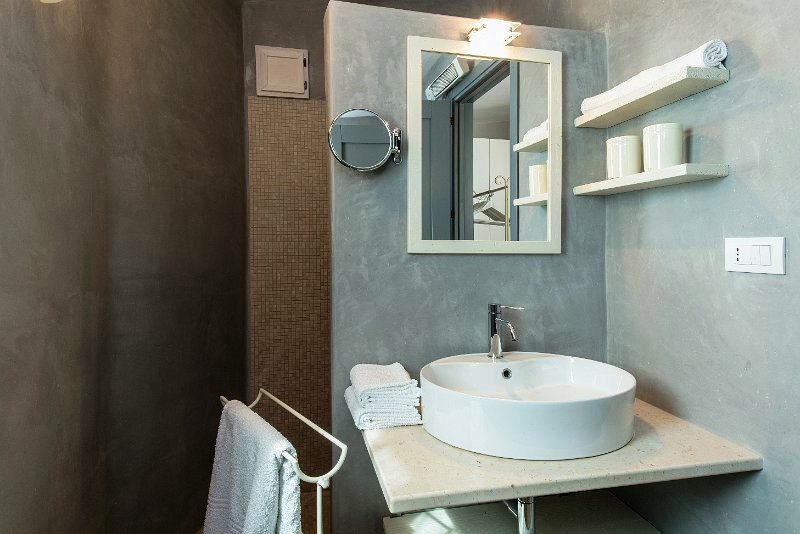 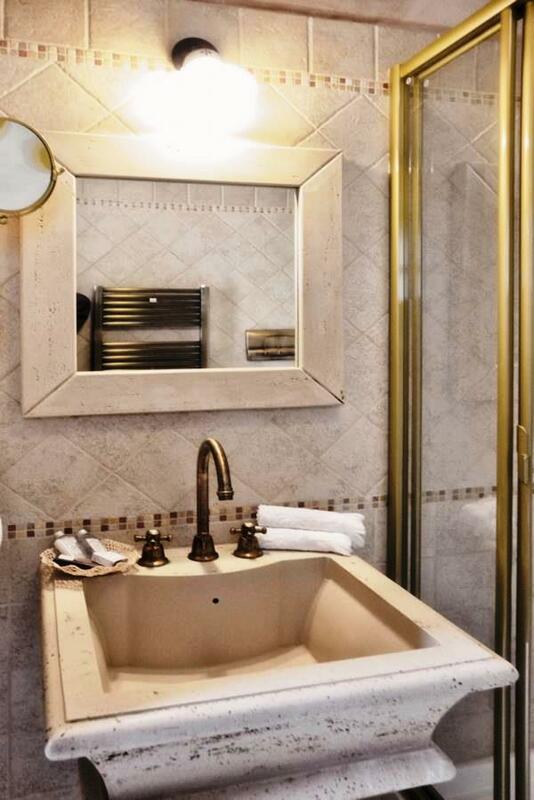 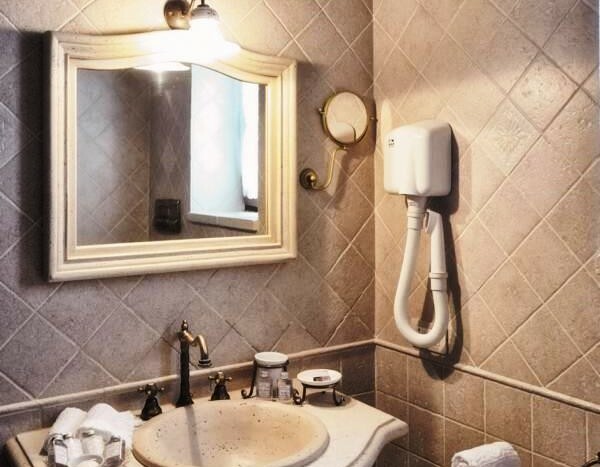 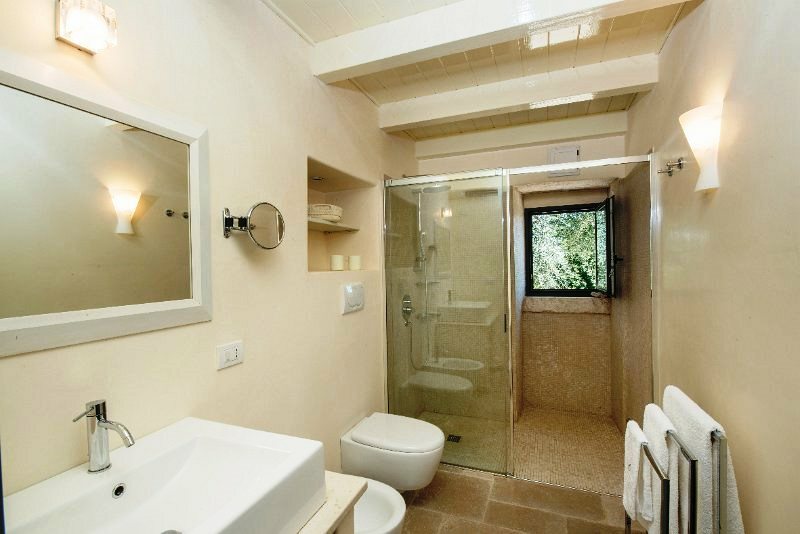 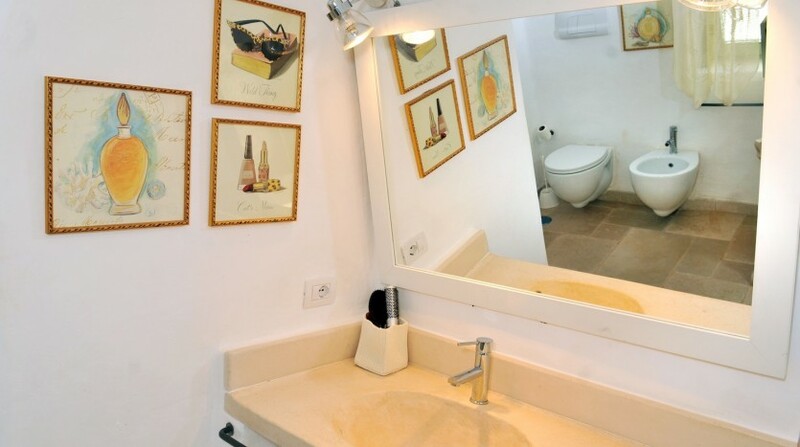 All bedrooms have private bathrooms and offer each up to 4 sleeping places. 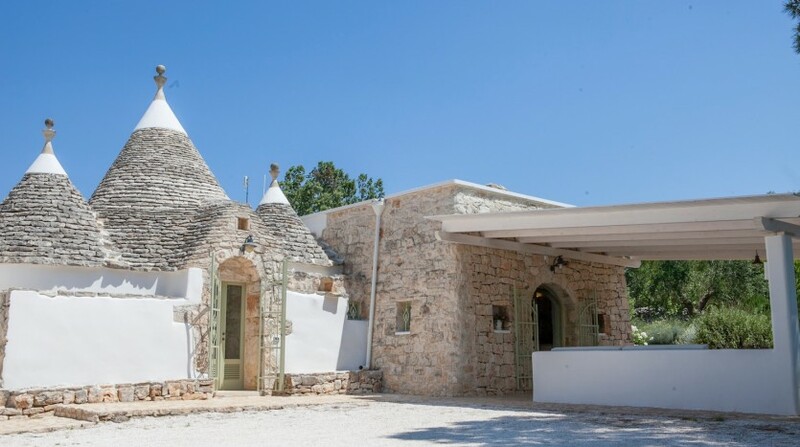 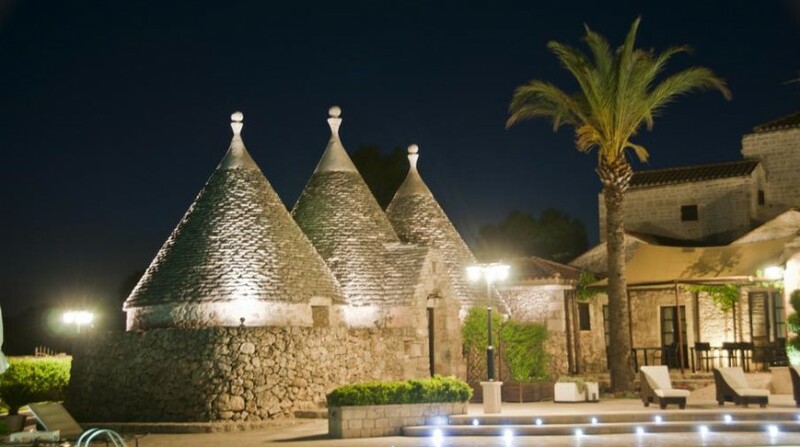 A unique place and the most typical way to spend the night in Apulia. 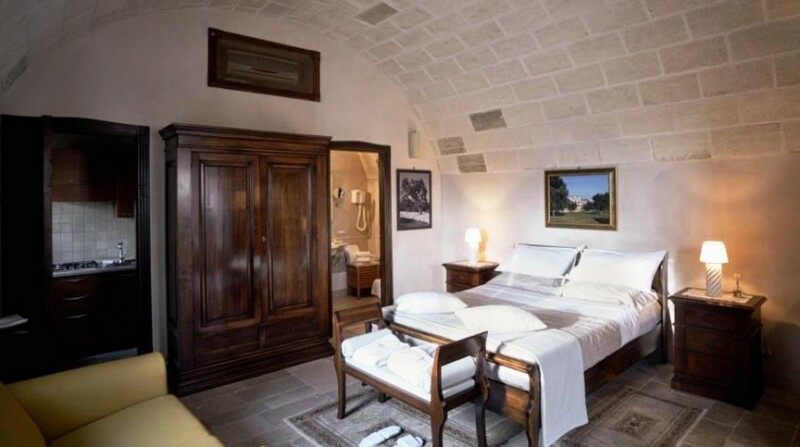 The bedroom with a double bed and a sofa bed with a vaulted stone ceiling equipped with a marble bathroom with a hydromassage bath. 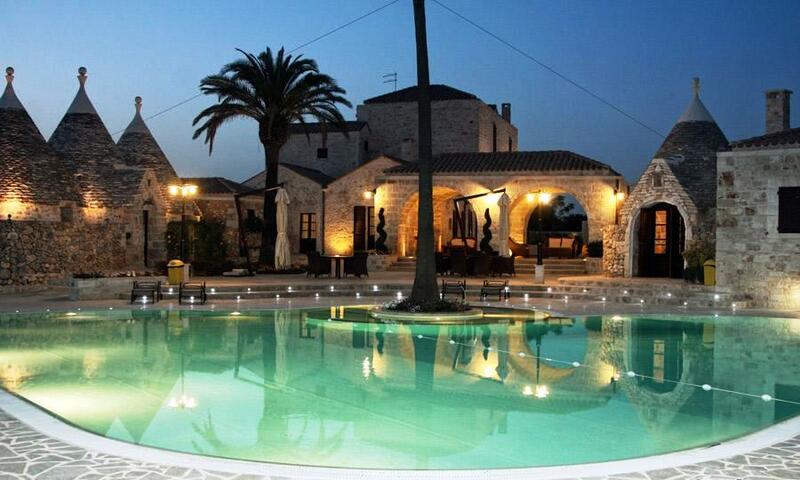 Separate entrance near the pool. 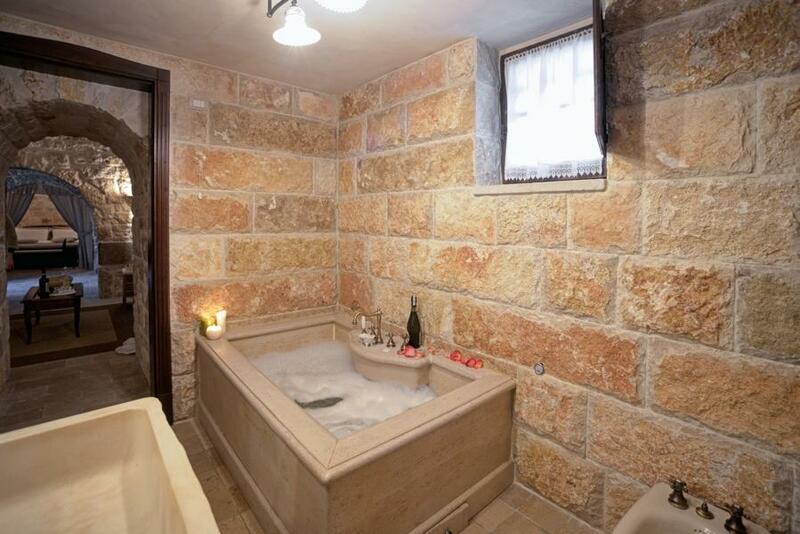 On first floor achievable with a stone staircase. 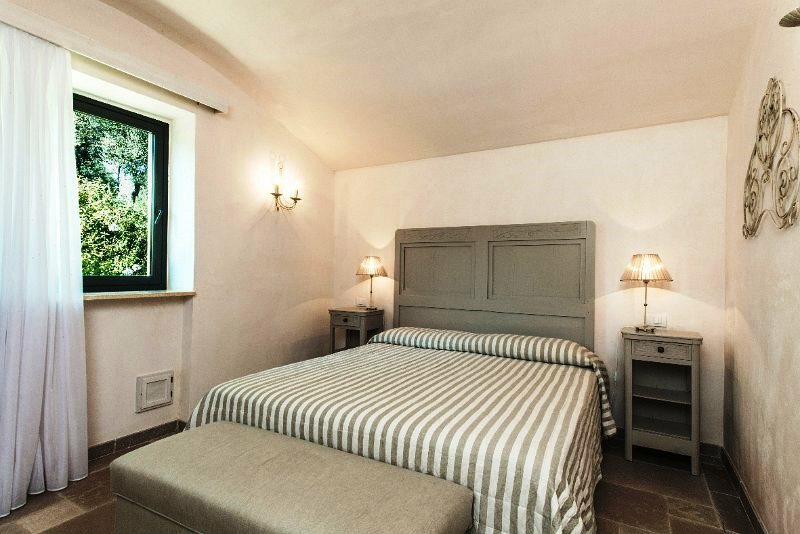 The master bedroom has a private balcony overlooking the garden, double bed, sofa bed, bathroom with shower and a vaulted stone ceiling. 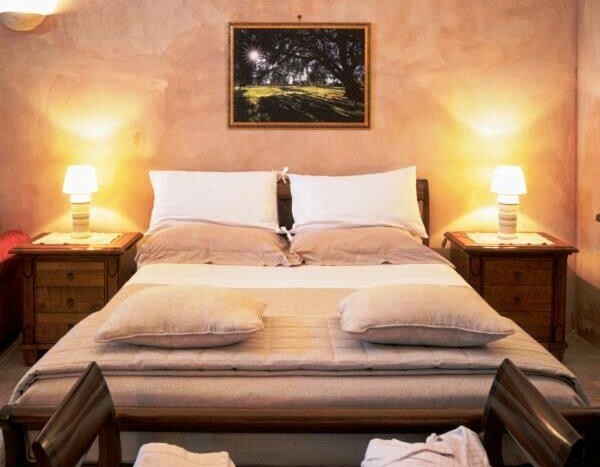 This bedroom has its name from the stately carob tree. 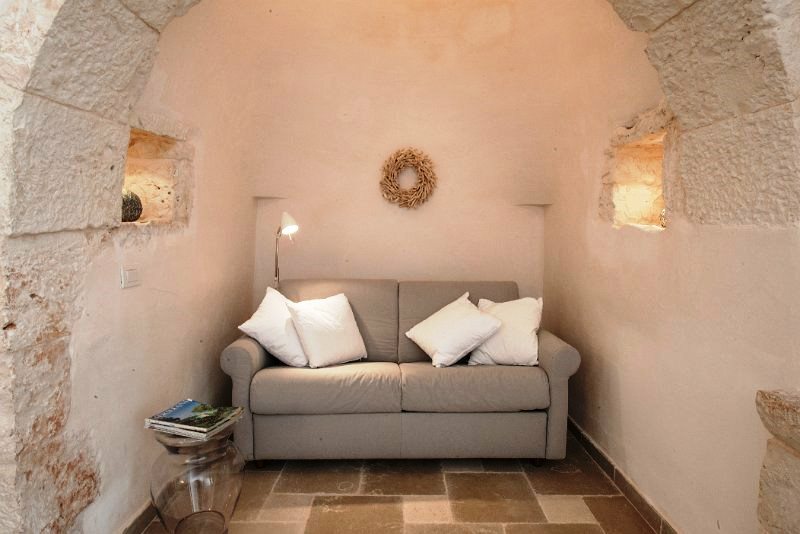 Separate entrance with double bed, sofa bed, fireplace for cold evenings, overlooking the beautiful garden, vaulted stone ceiling, bathroom with shower. 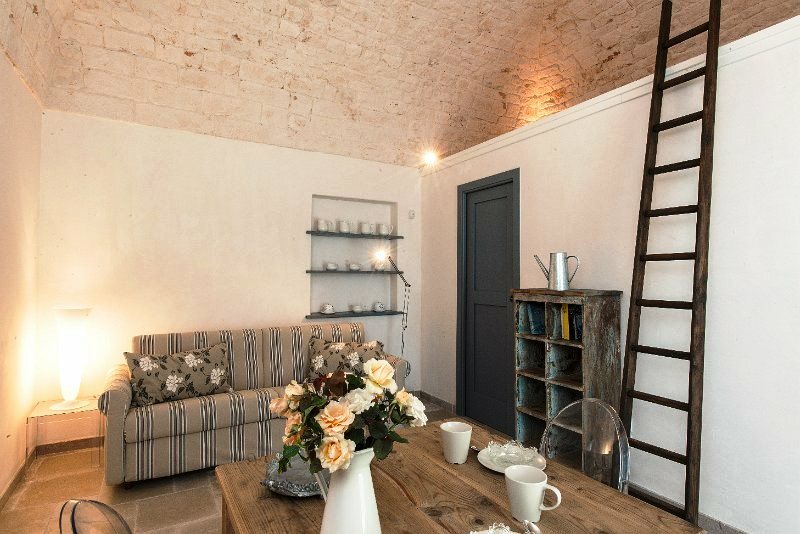 On first floor achievable with a stone staircase. 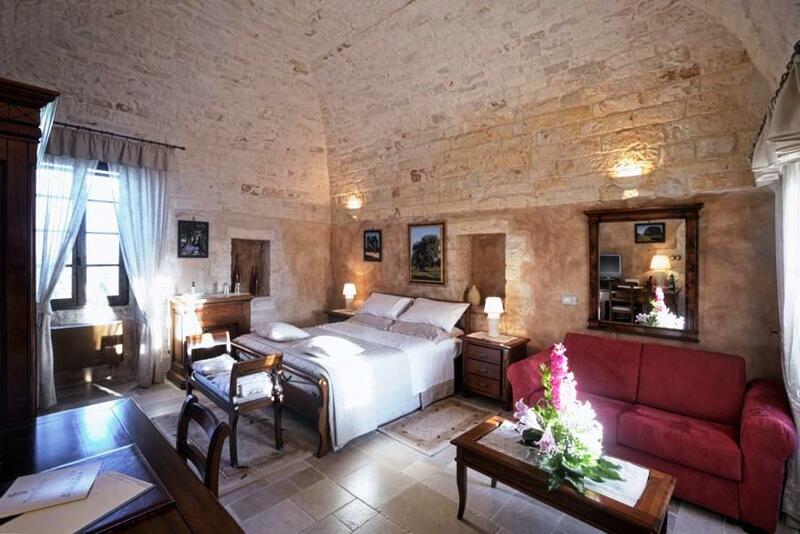 This bedroom has a beautiful view of the garden, double bed, sofa bed, bathroom with shower and a vaulted stone ceiling. 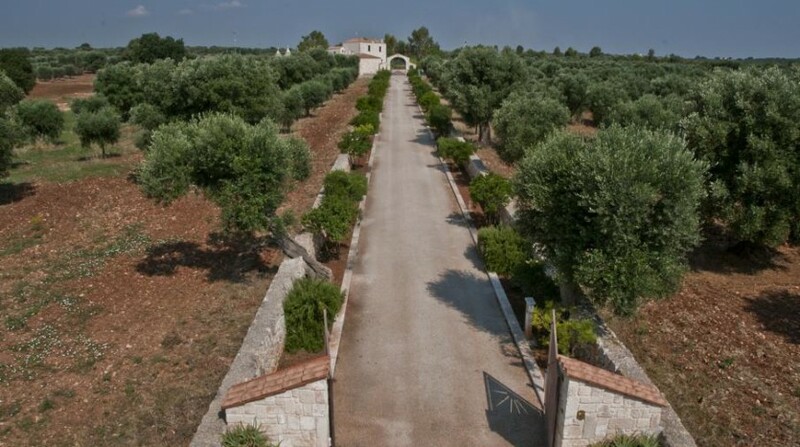 The name comes from the two pomegranate trees that adorn the entrance area of the villa. 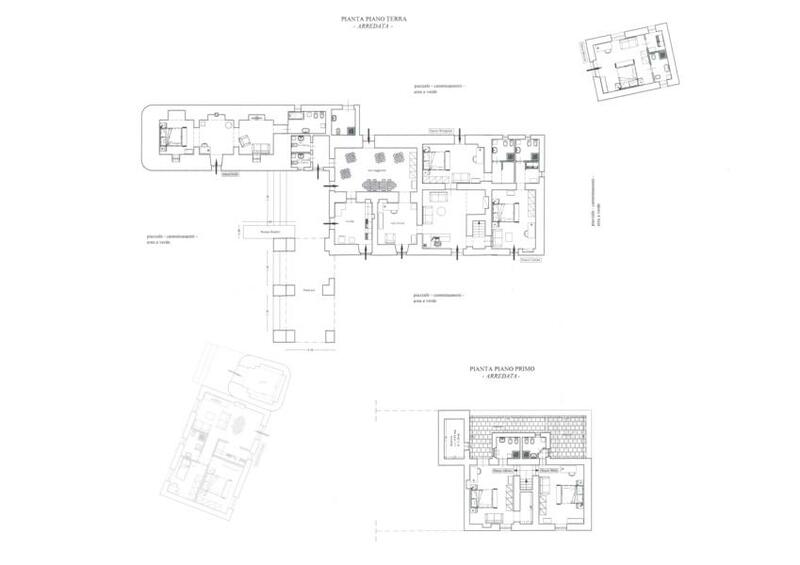 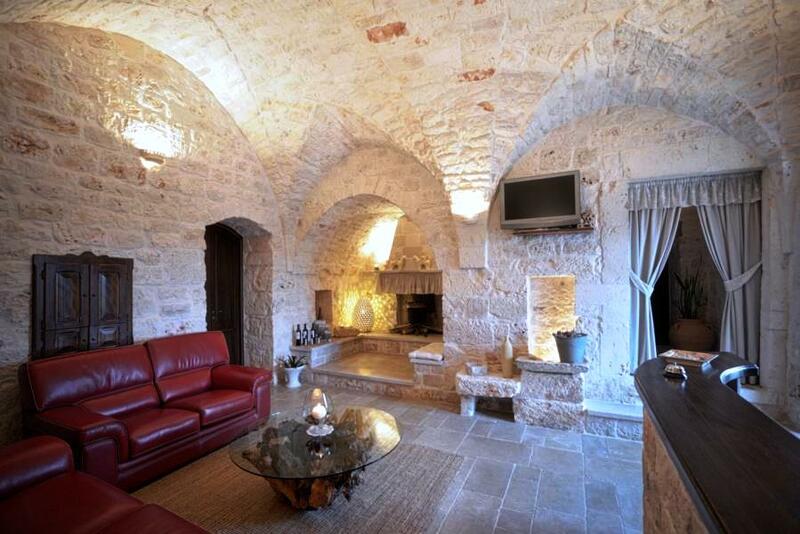 Double bed, sofa bed, vaulted stone ceiling, bathroom with shower. 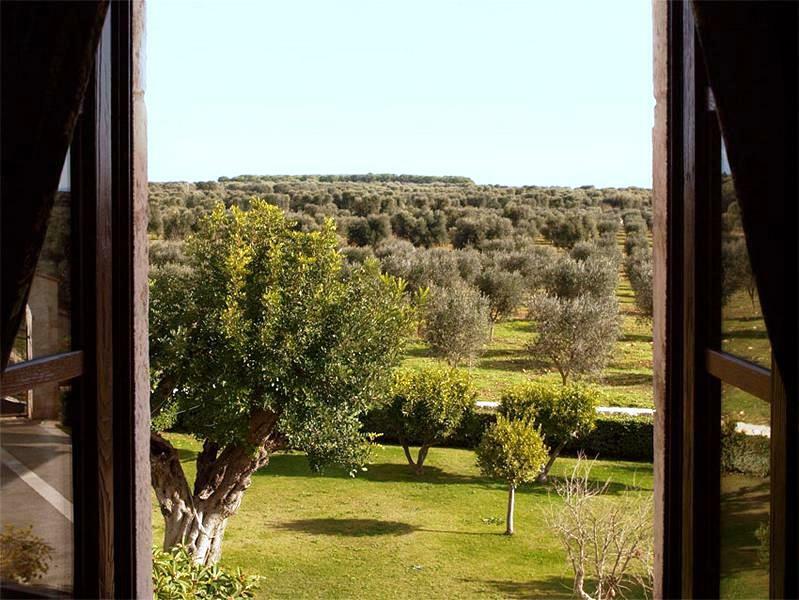 This room is a small independent structure, which has as its background a majestic old oak tree surrounded by ancient olive trees. 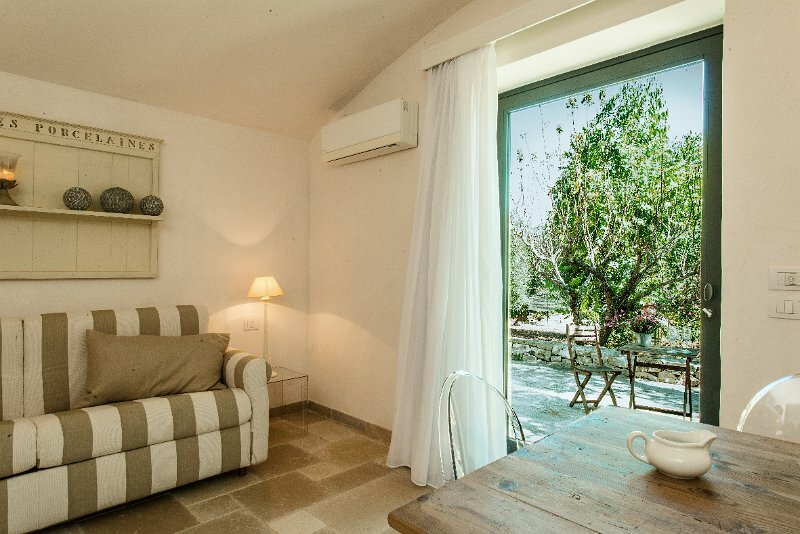 It has its own entrance from the garden and offers all the privacy and comfort you need for your holiday and complete relaxing holiday. 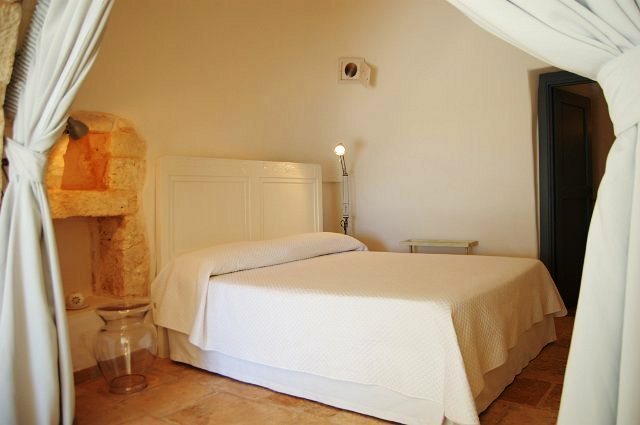 The room has a double bed and a sofa bed for one and a half. 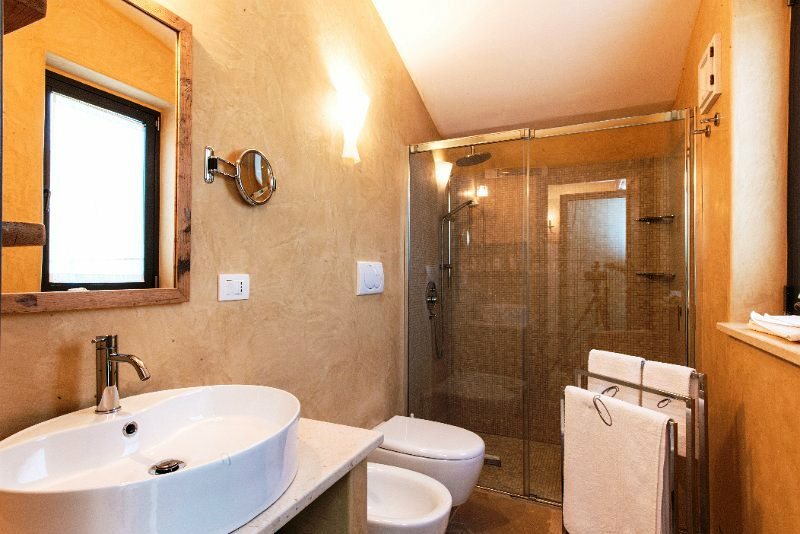 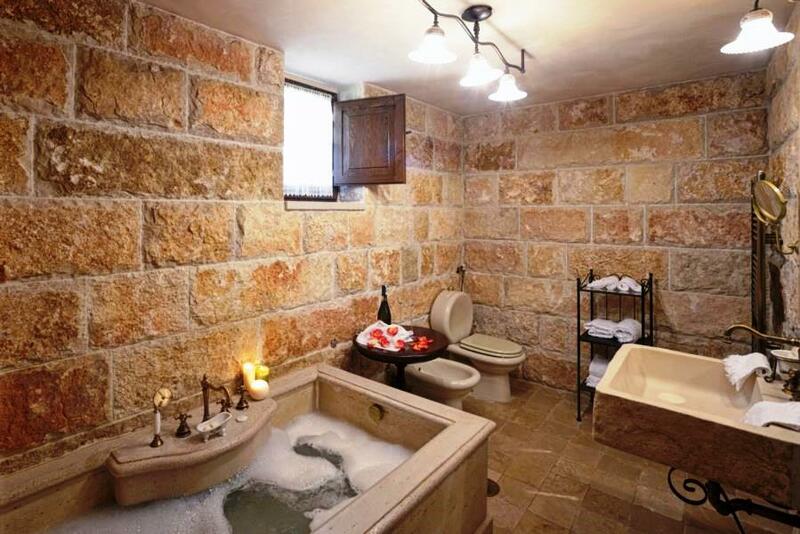 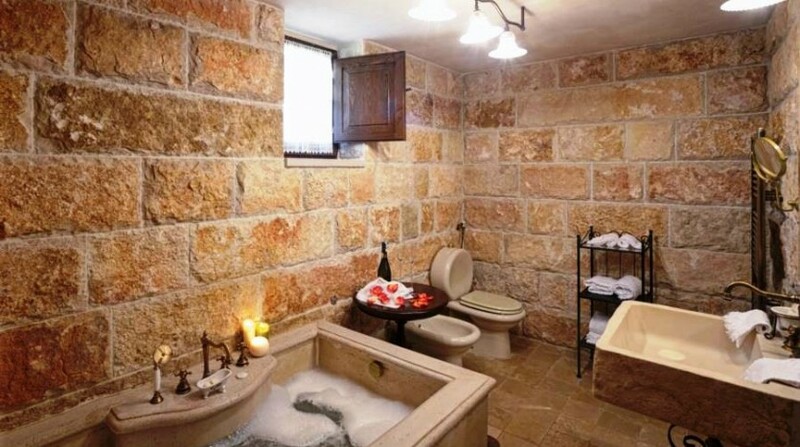 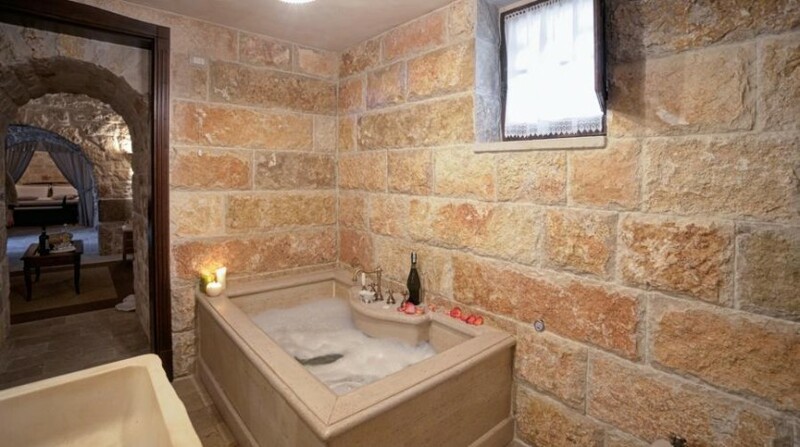 Bathroom with shower, vaulted stone ceiling. 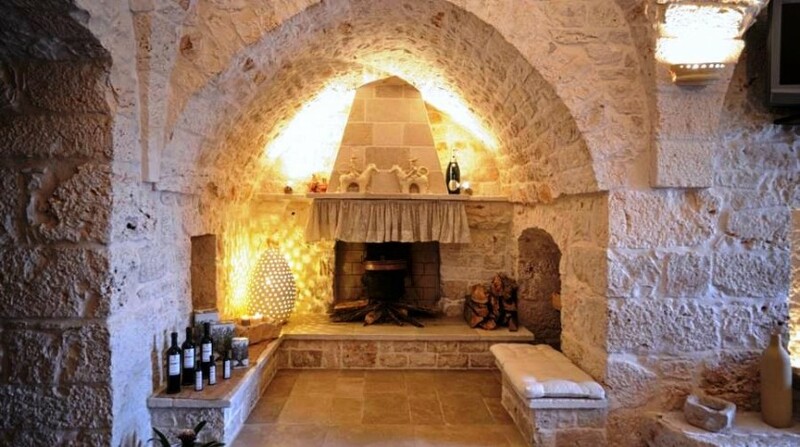 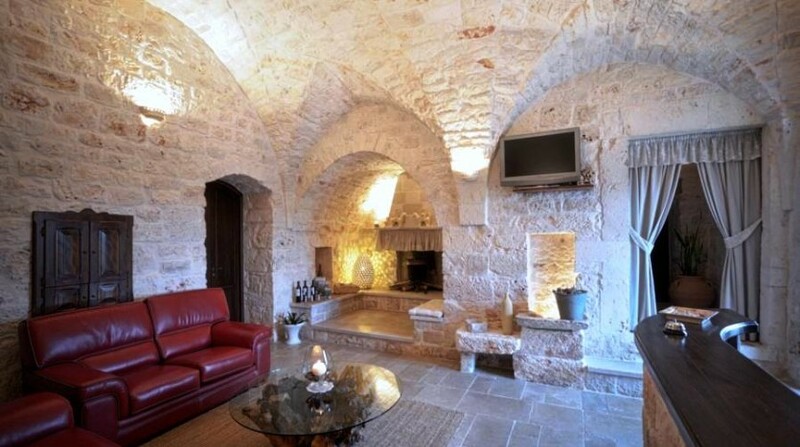 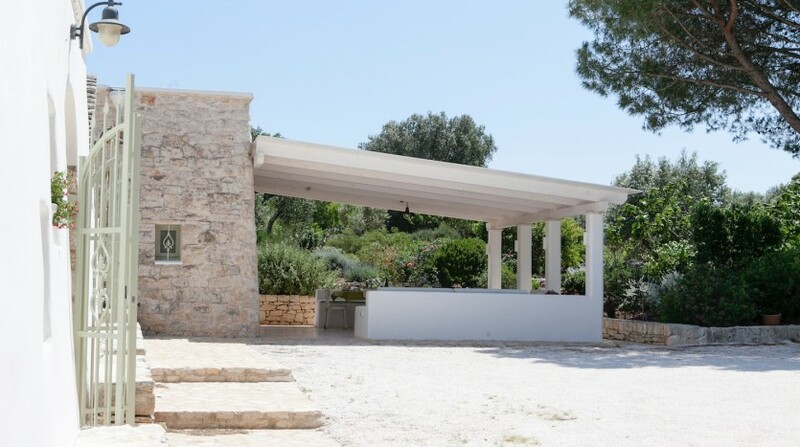 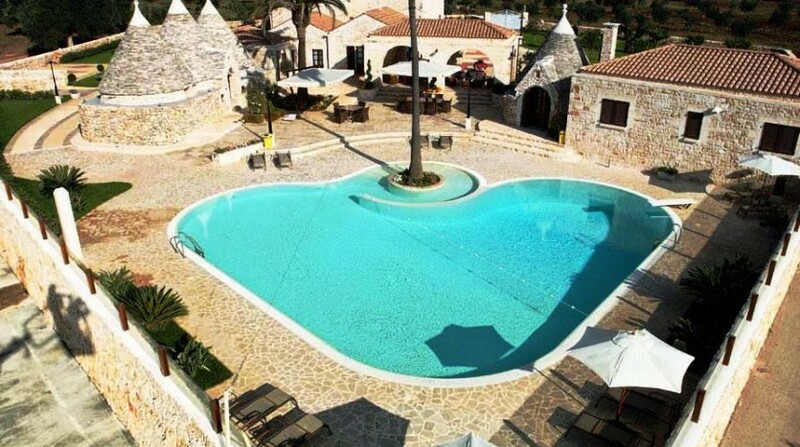 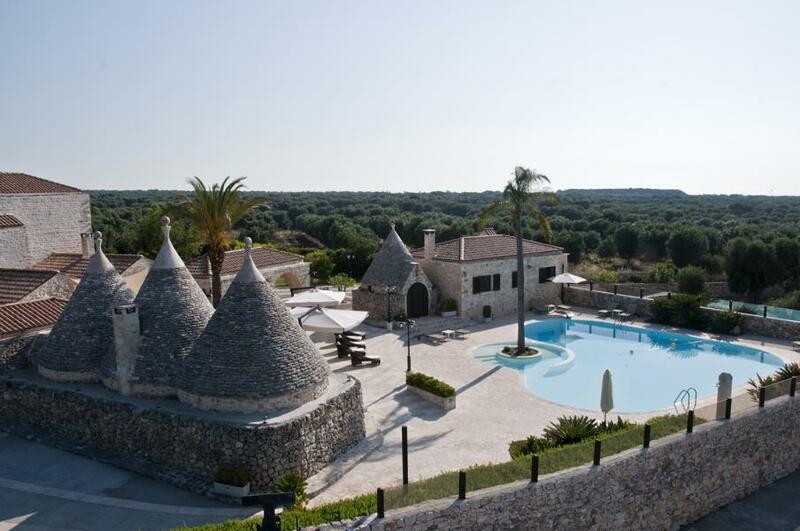 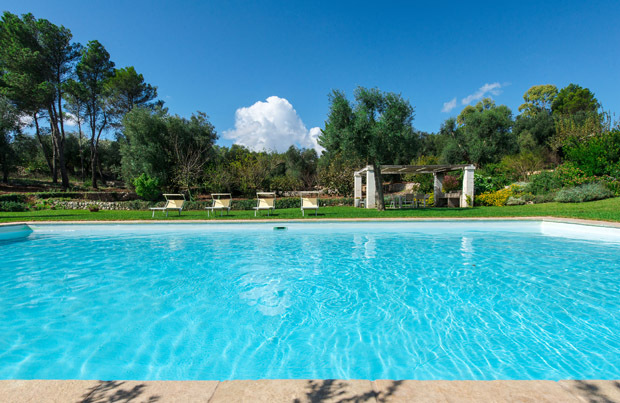 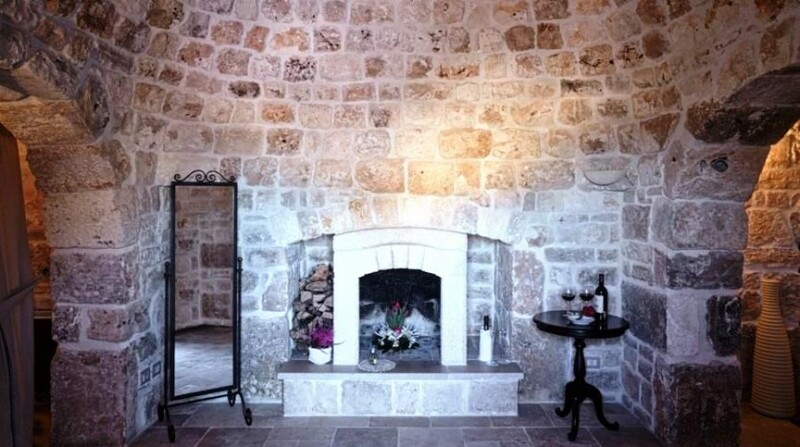 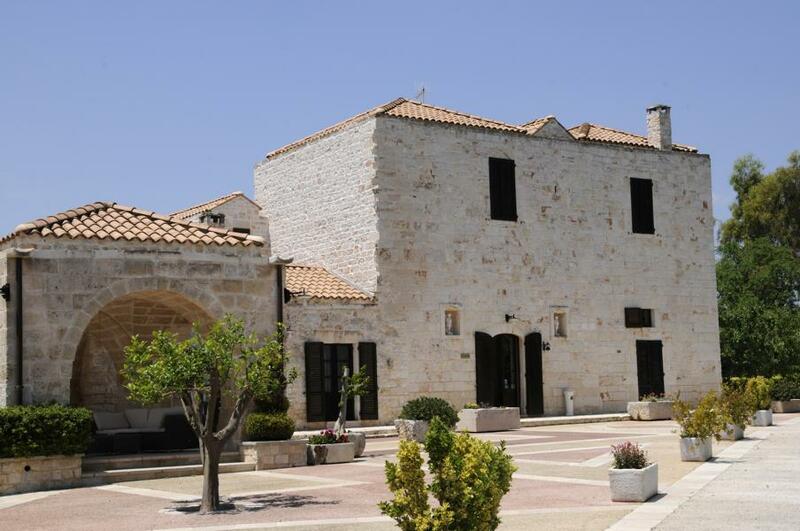 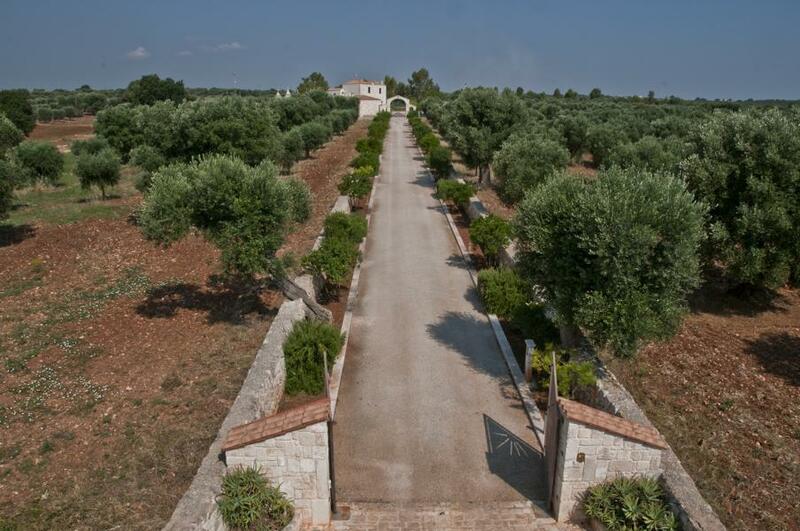 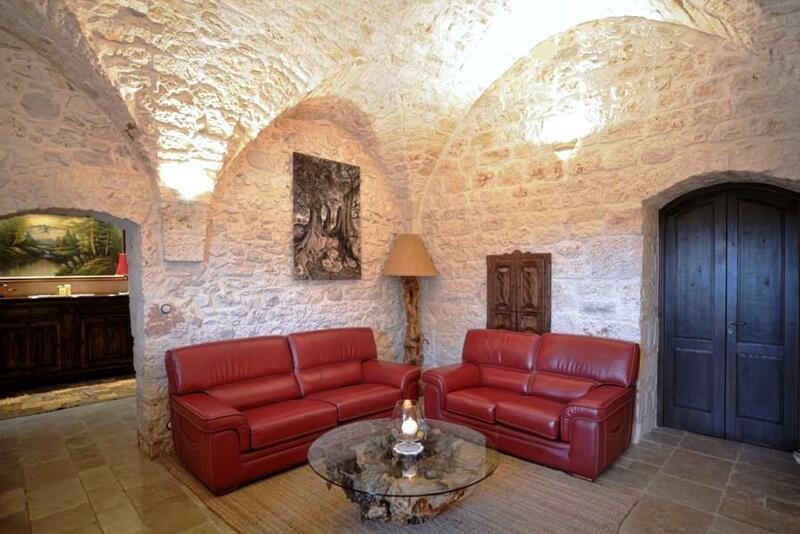 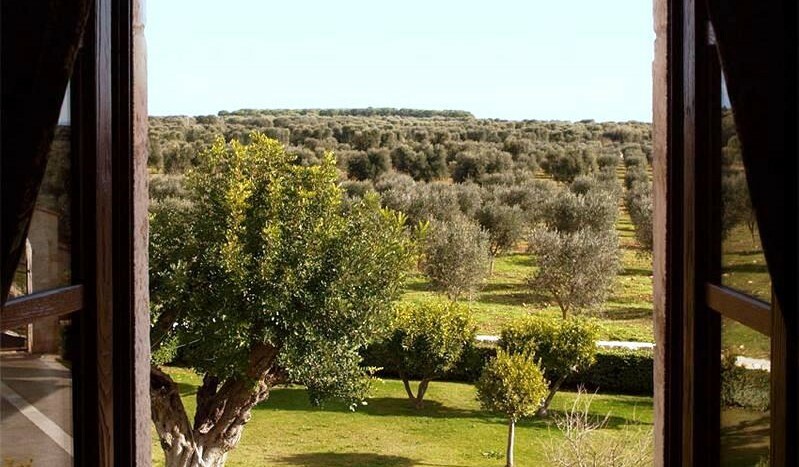 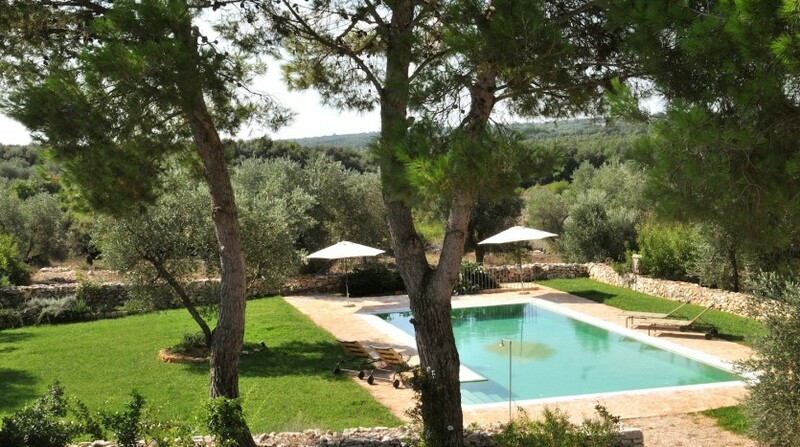 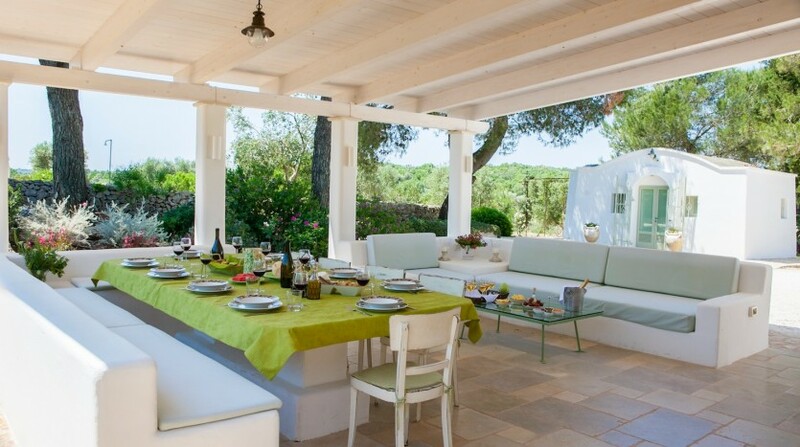 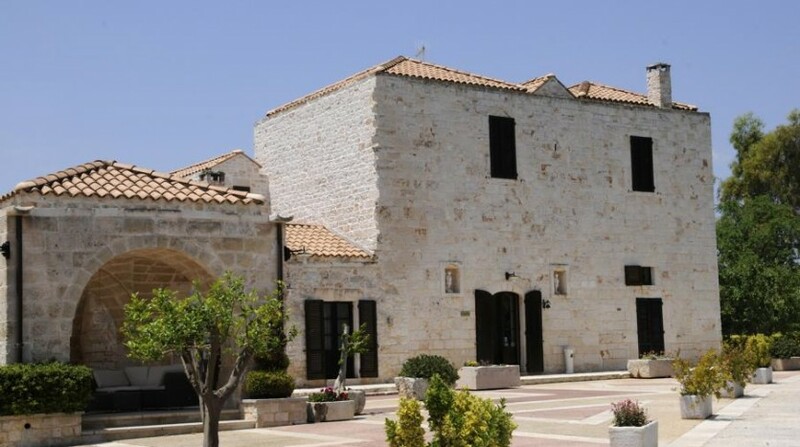 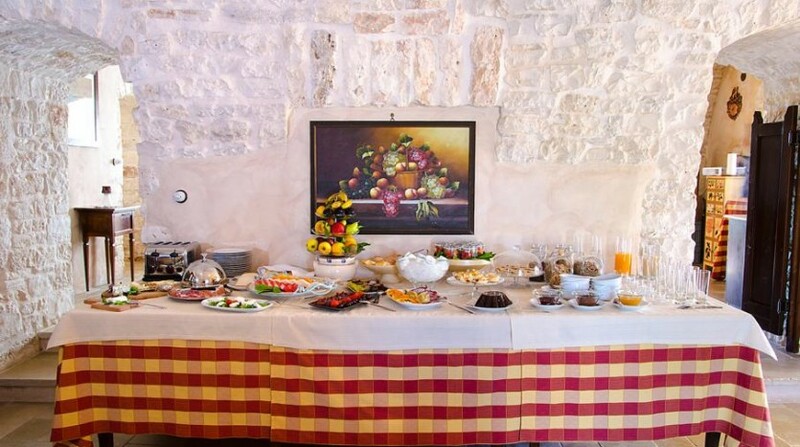 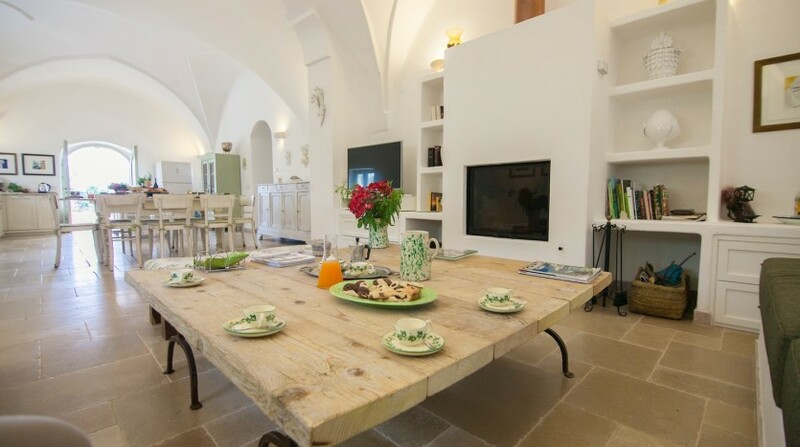 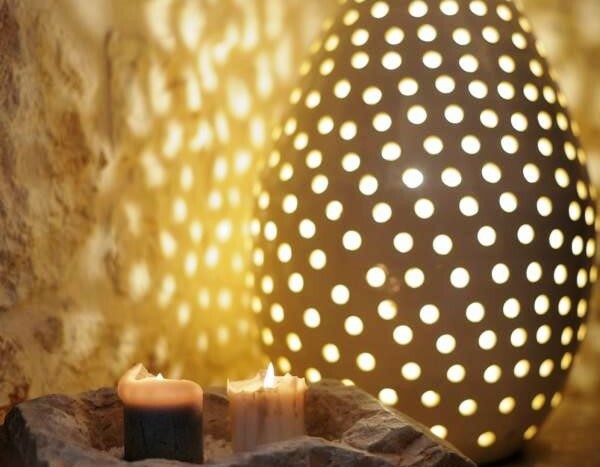 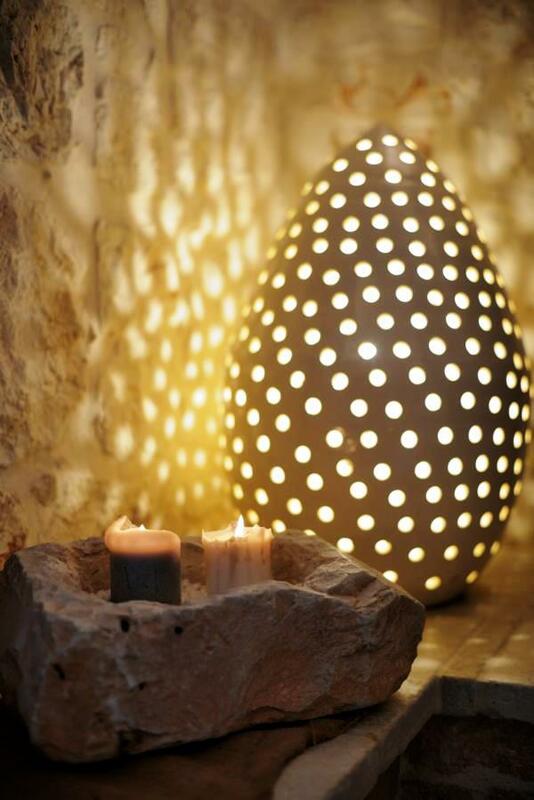 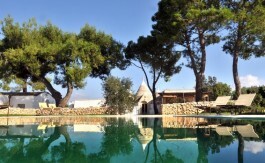 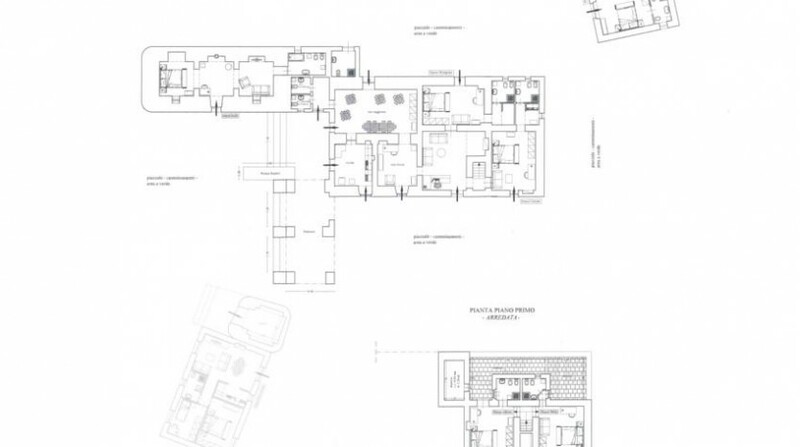 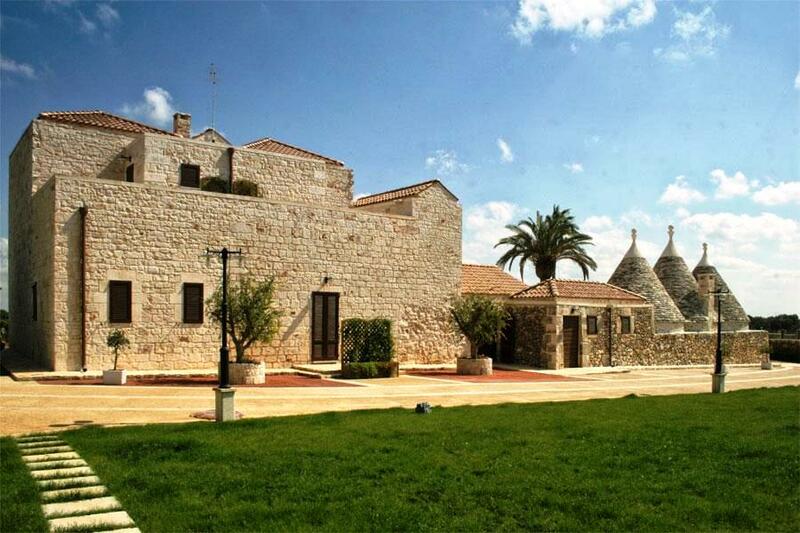 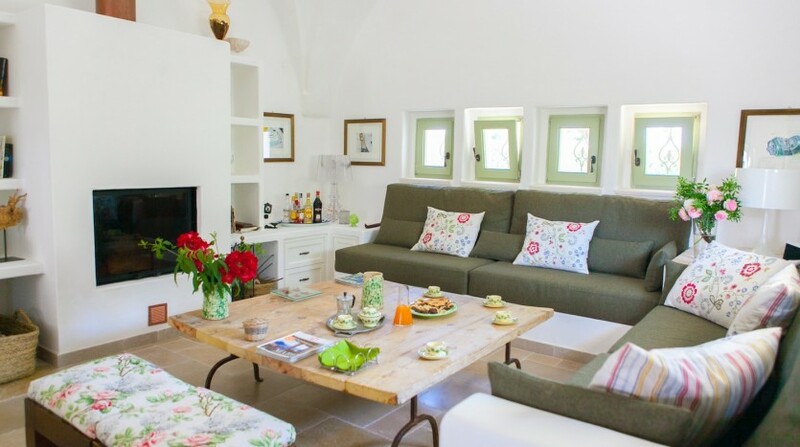 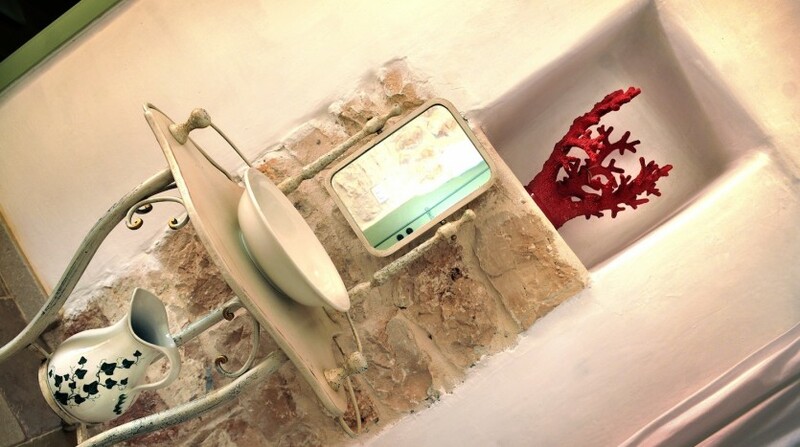 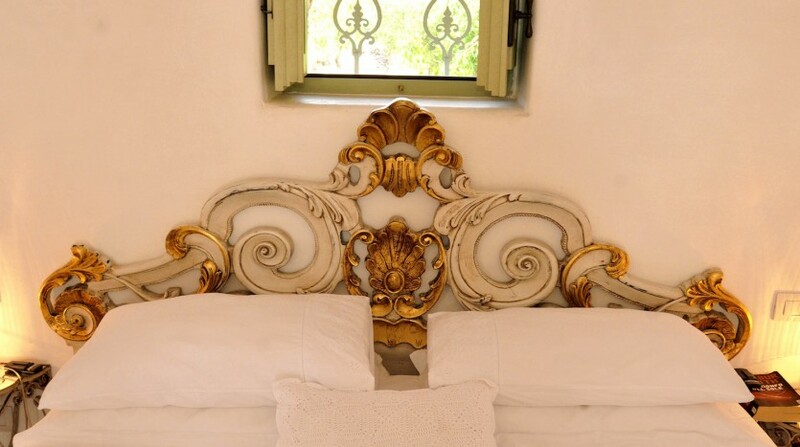 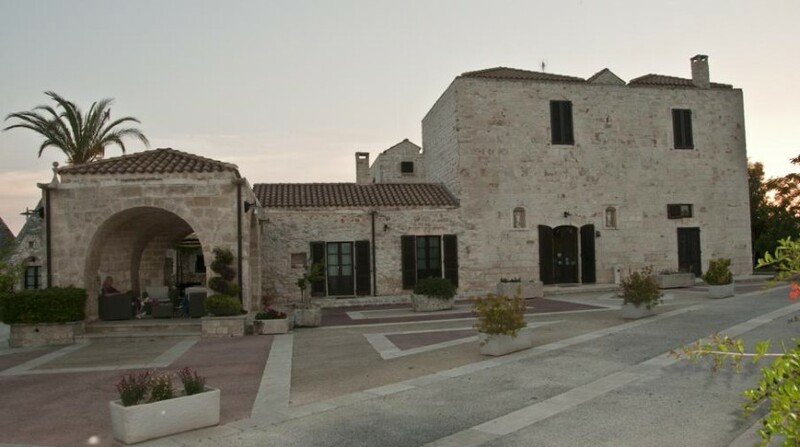 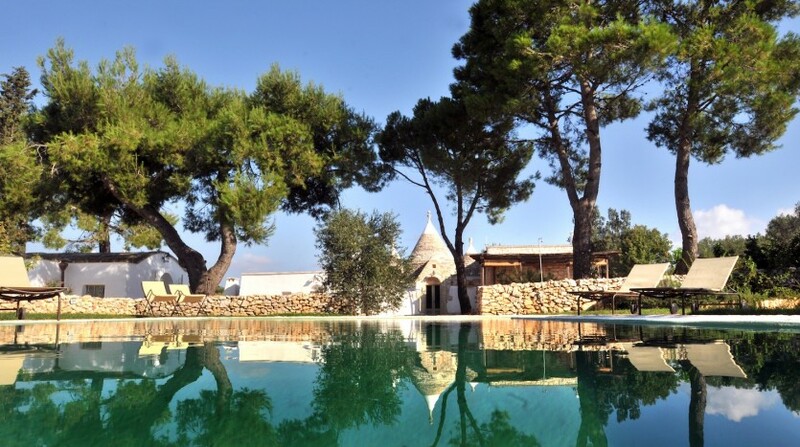 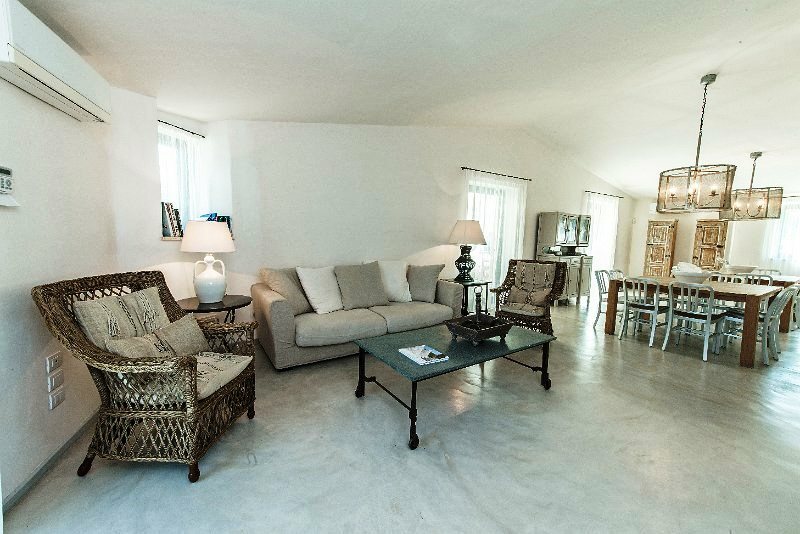 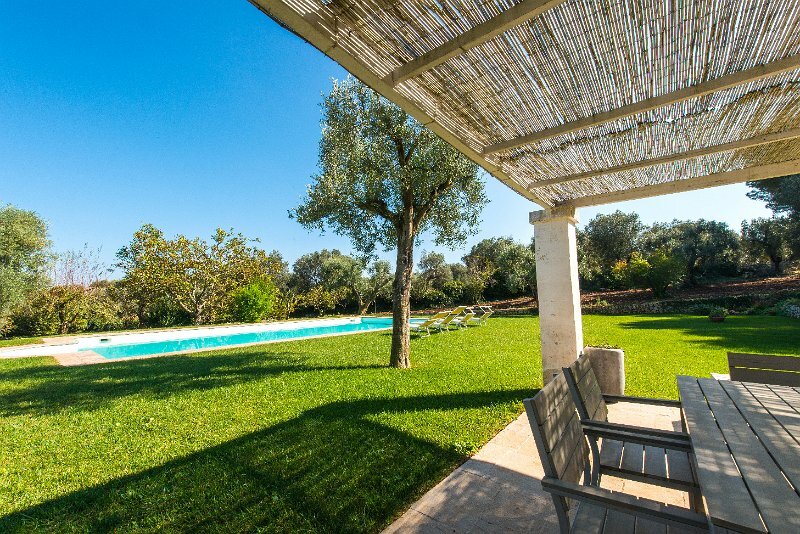 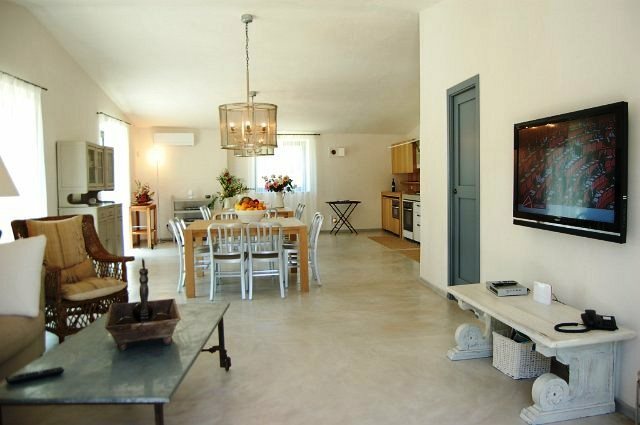 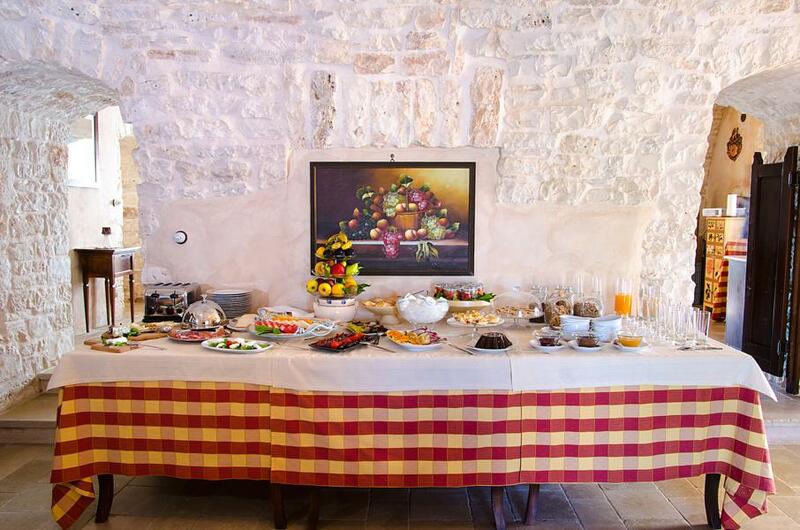 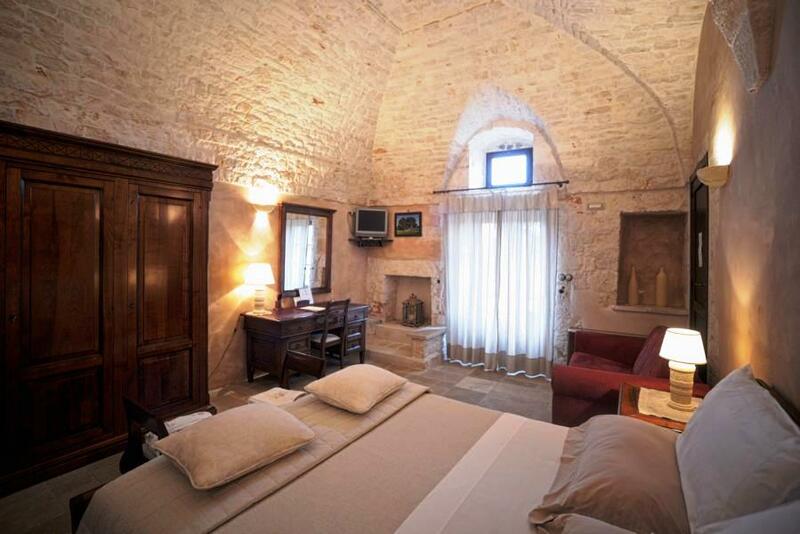 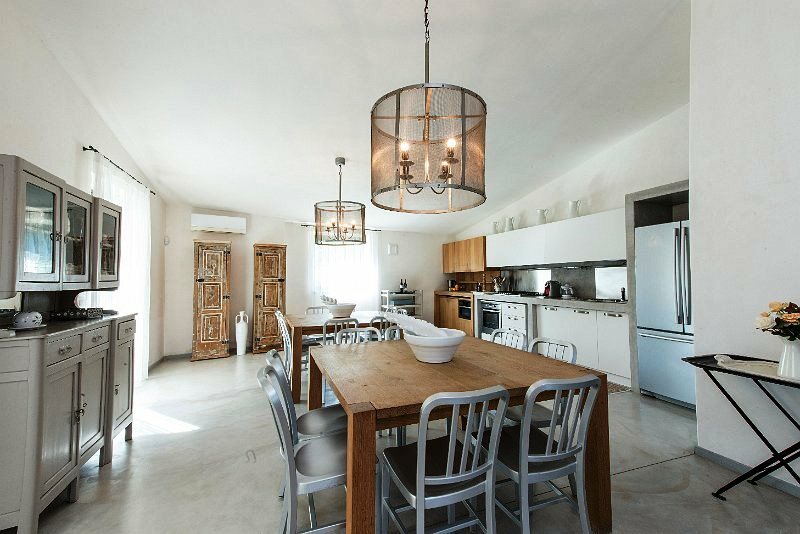 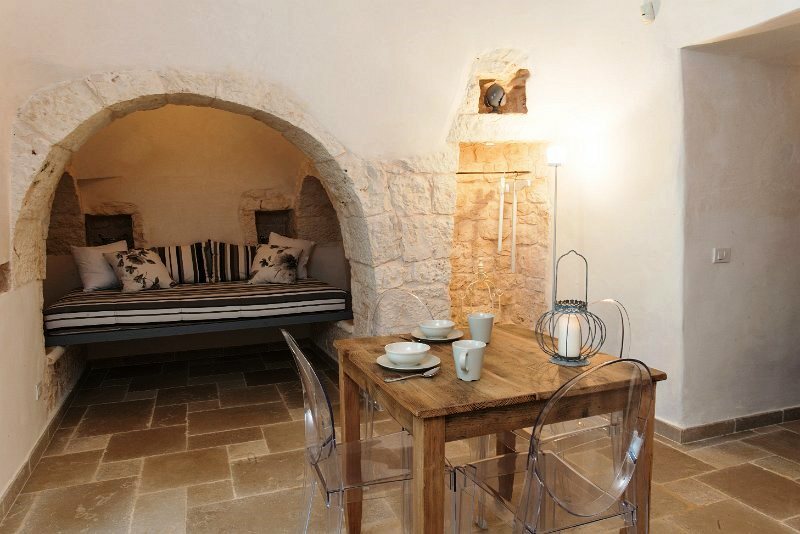 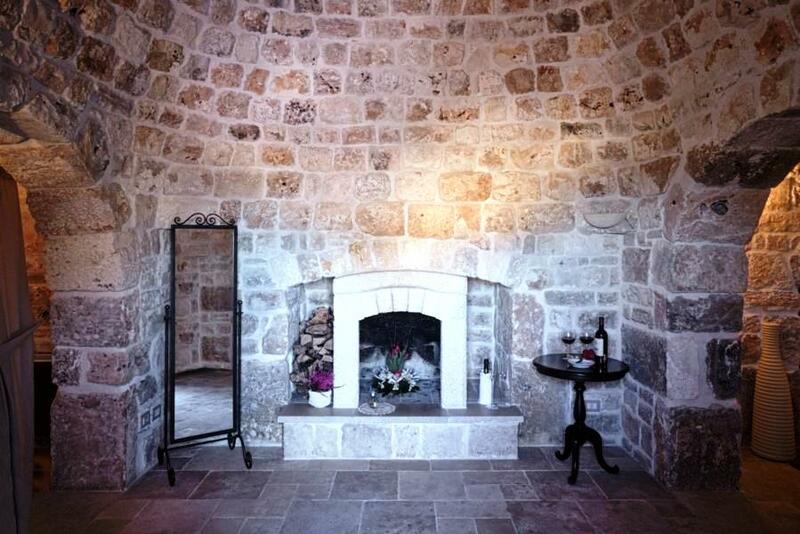 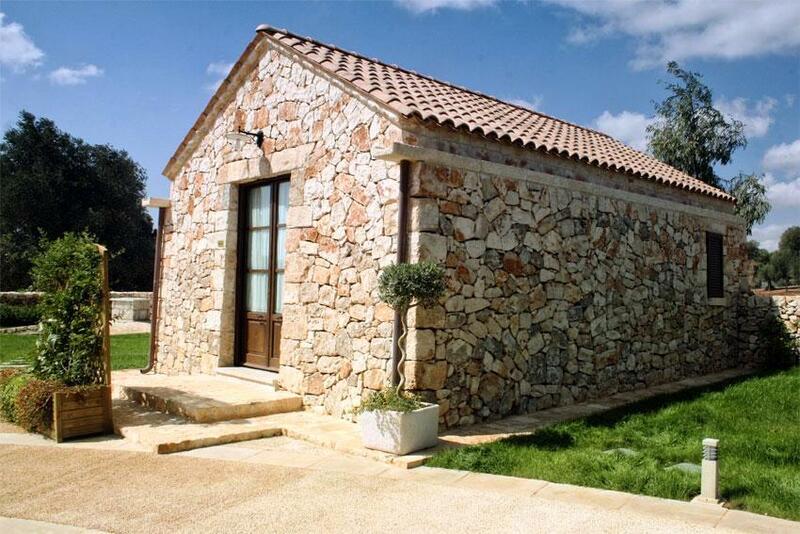 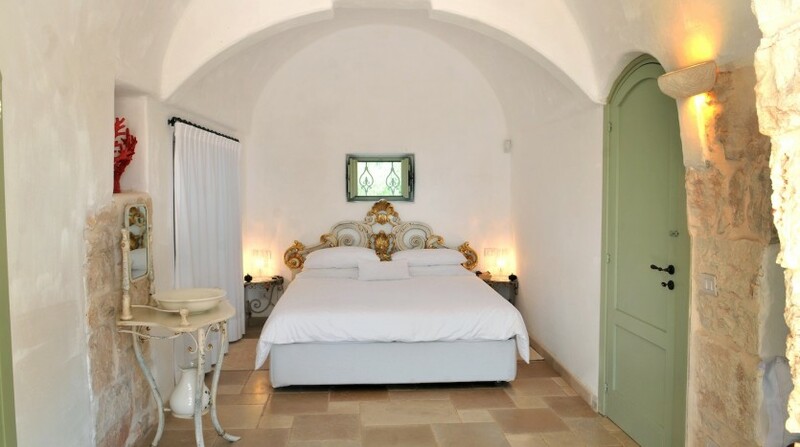 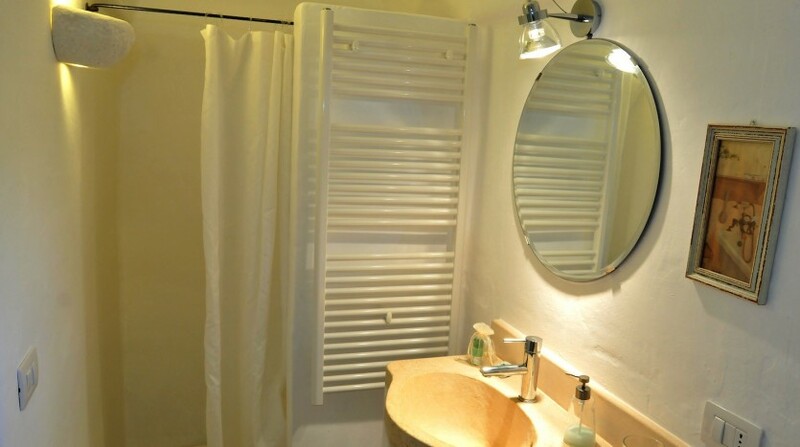 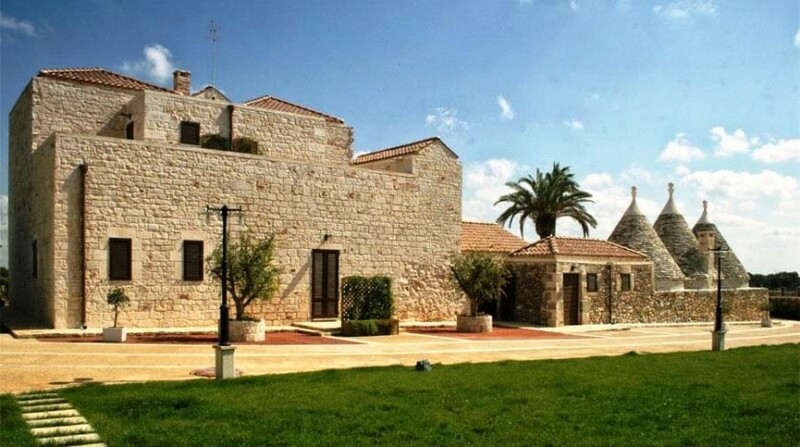 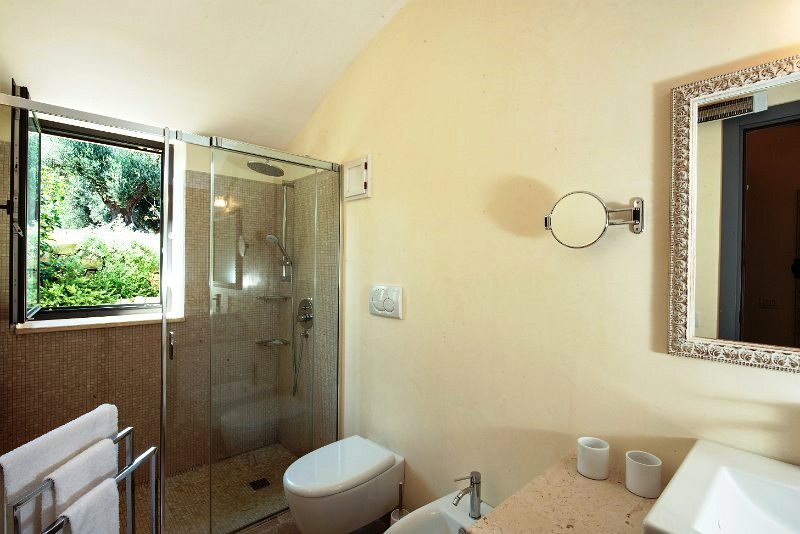 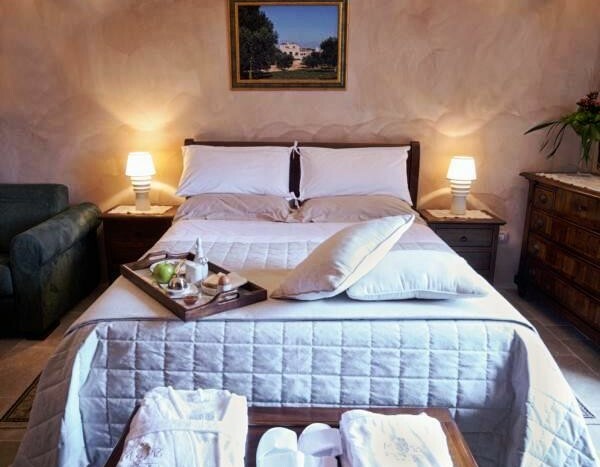 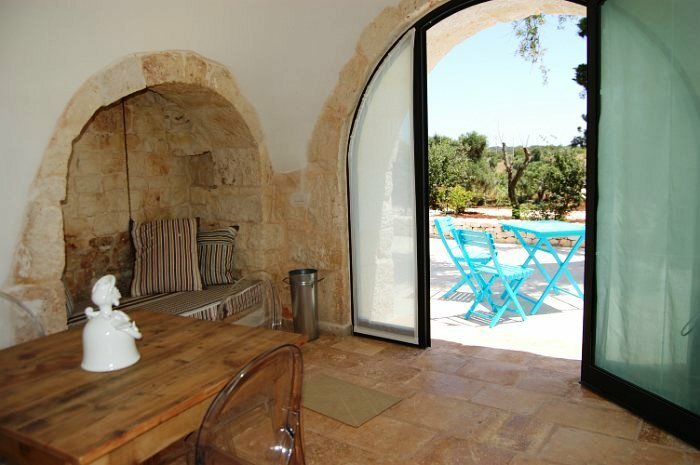 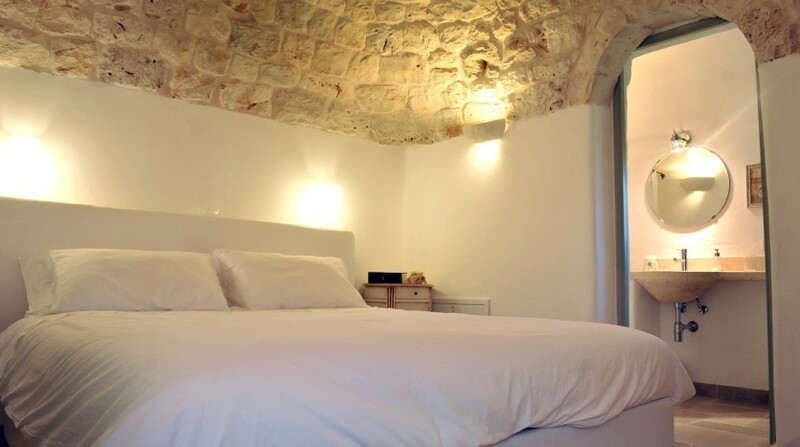 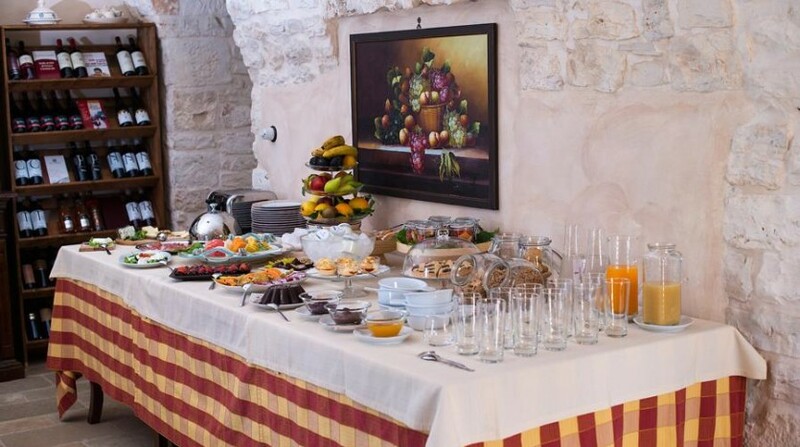 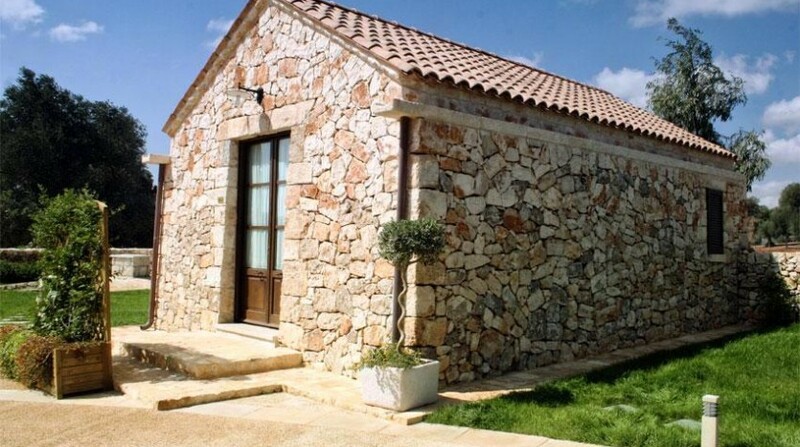 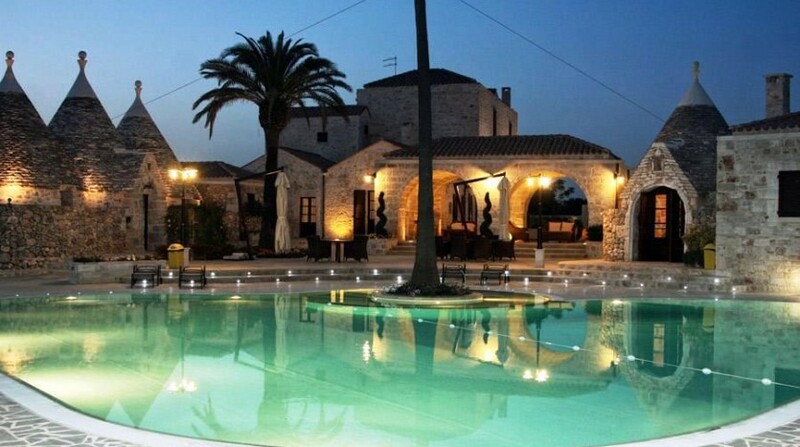 Villa Ceglie is located near the town of Ostuni and Ceglie Messapica. 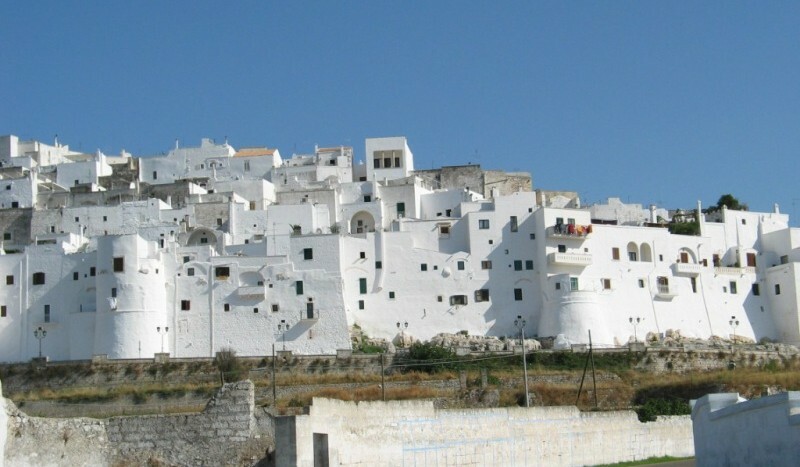 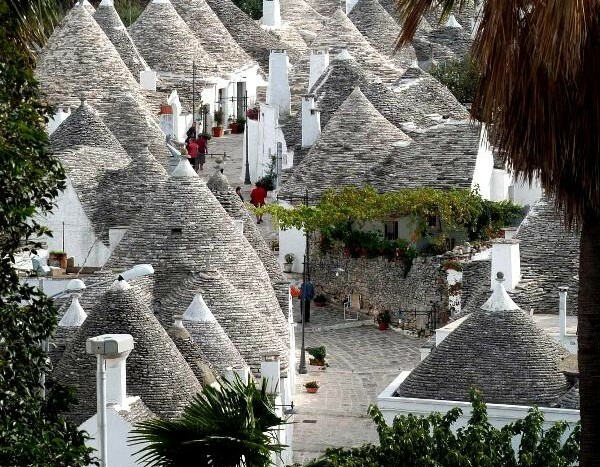 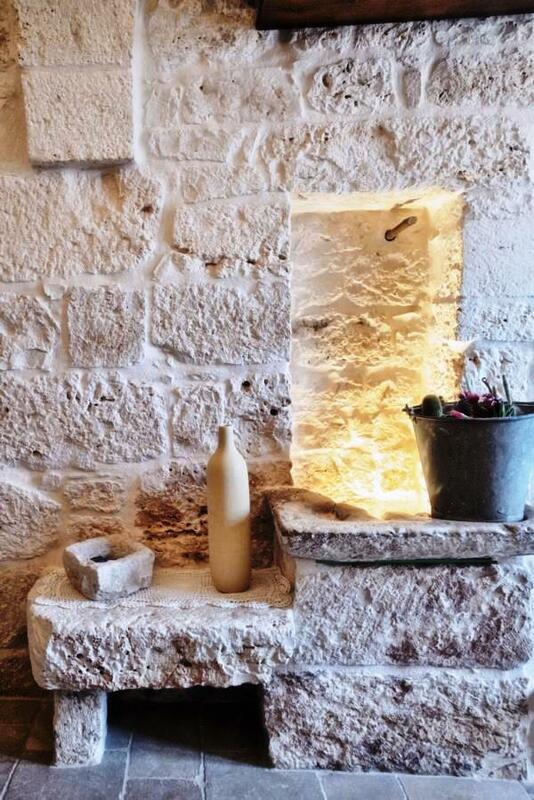 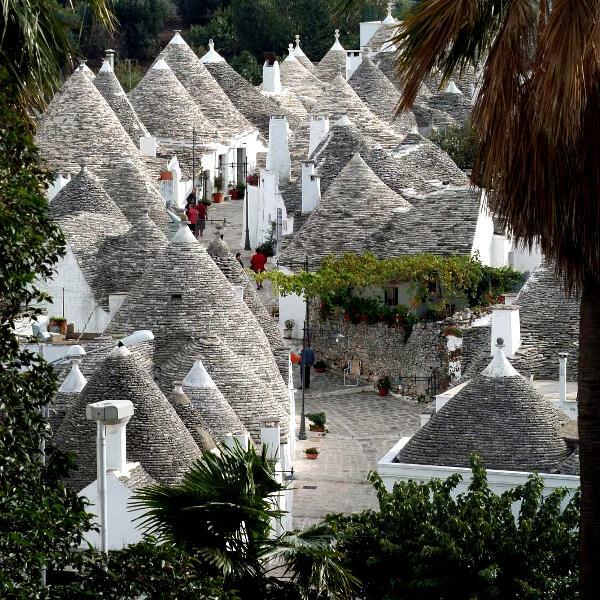 Ostuni is known all over the world as the Città Bianca (white city) because of its whitewashed houses. 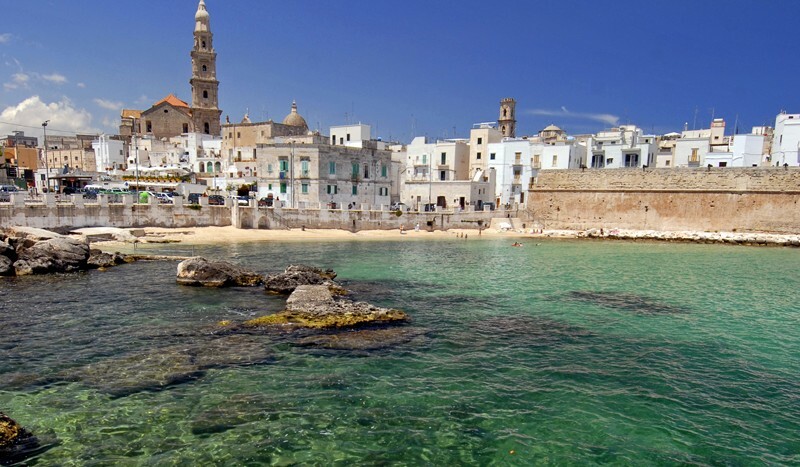 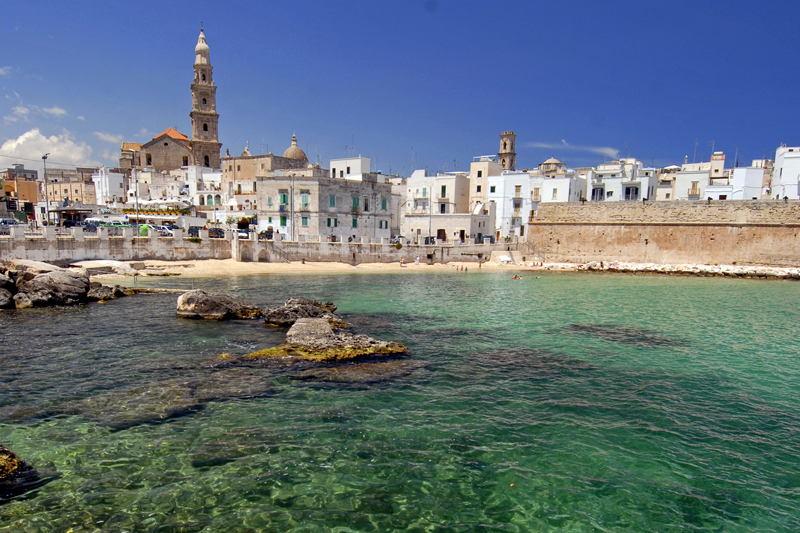 You could have heard of Ceglie Messapica, on the other hand, as Puglia’s capital of gastronomy. 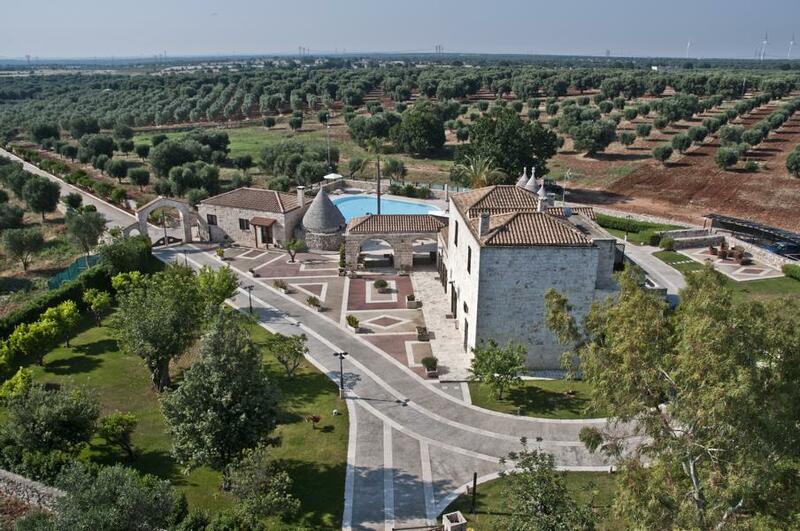 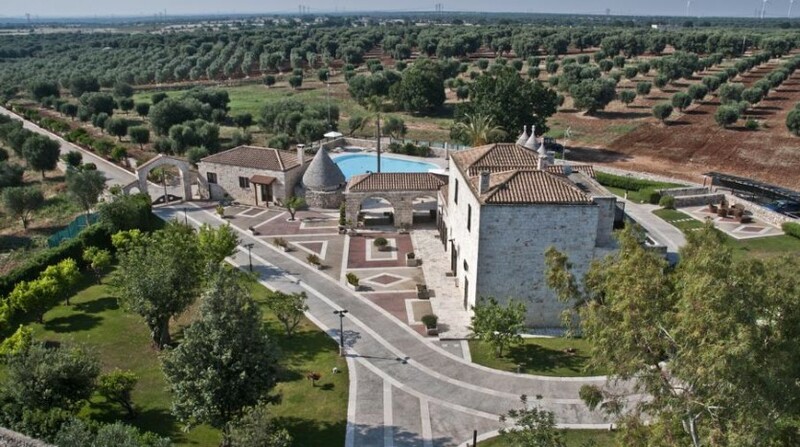 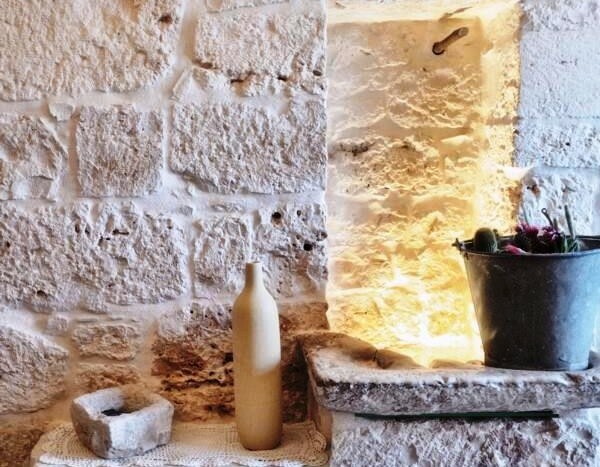 There you’ll find a variety of award-winning restaurants surrounded by centuries-old olive groves. 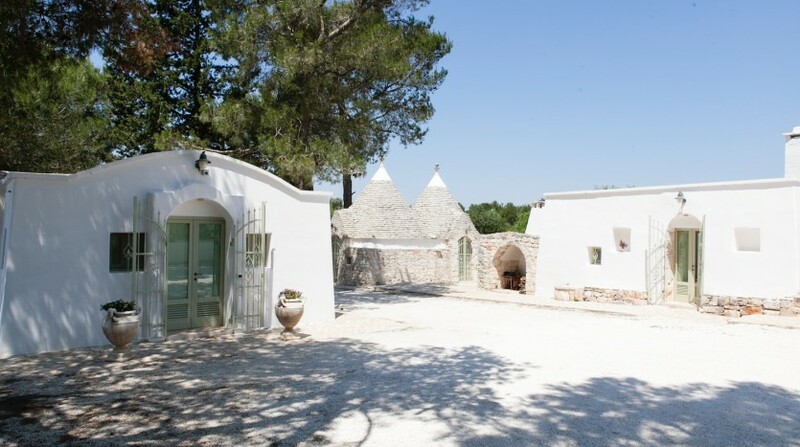 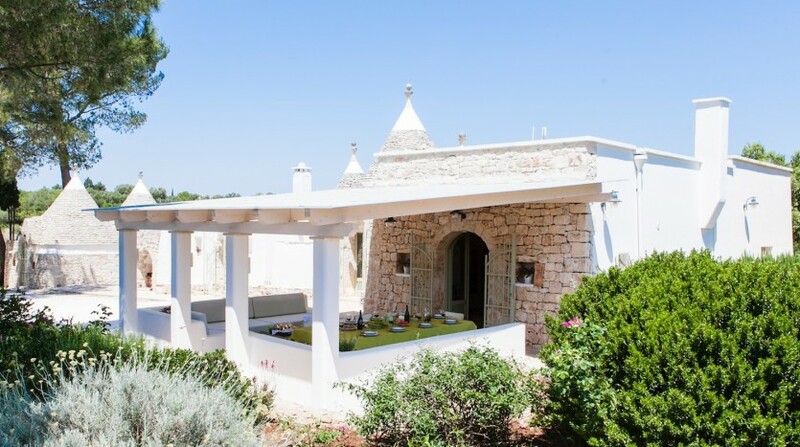 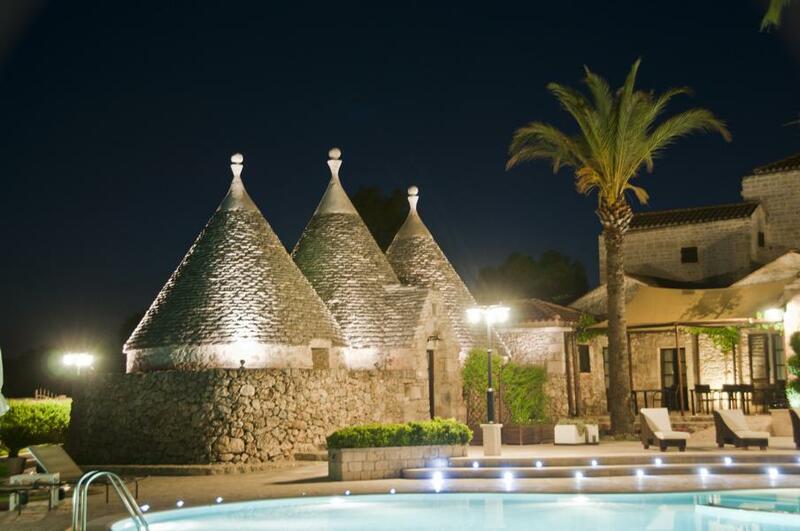 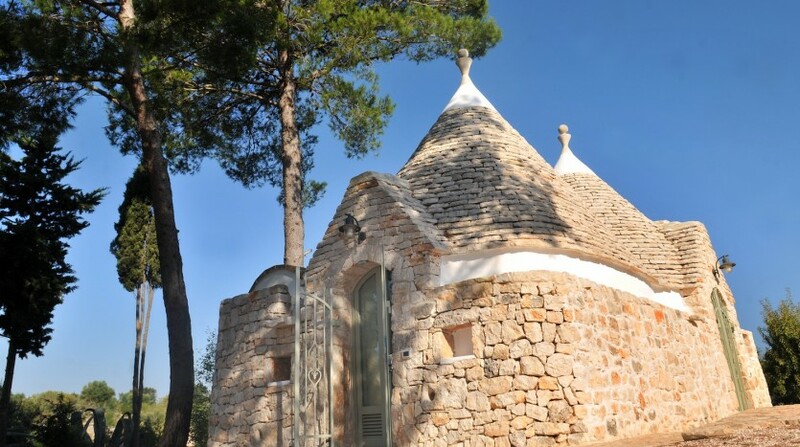 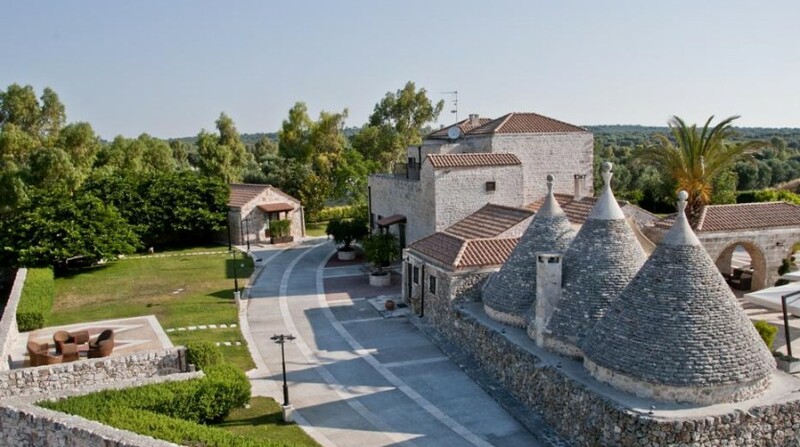 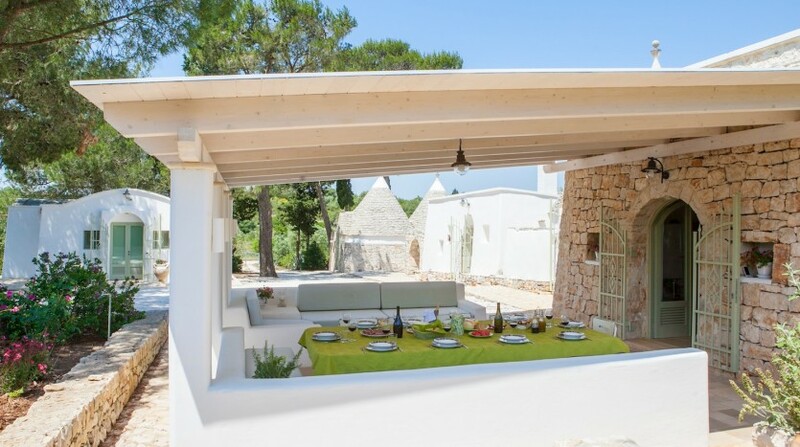 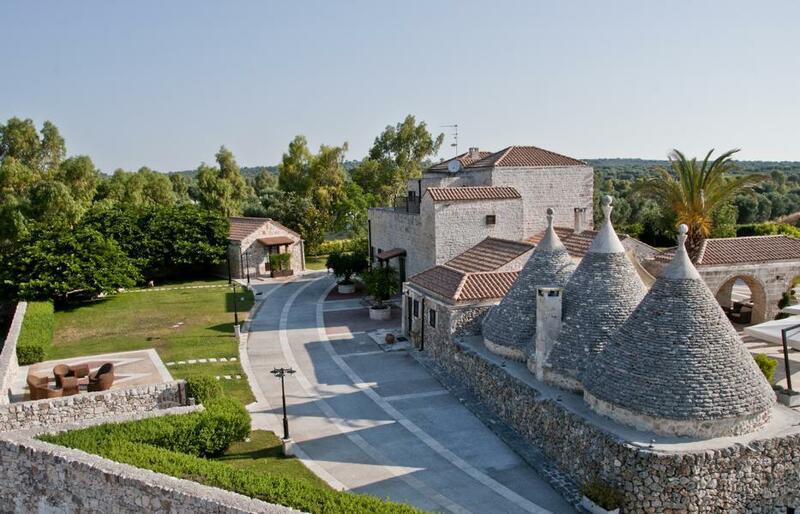 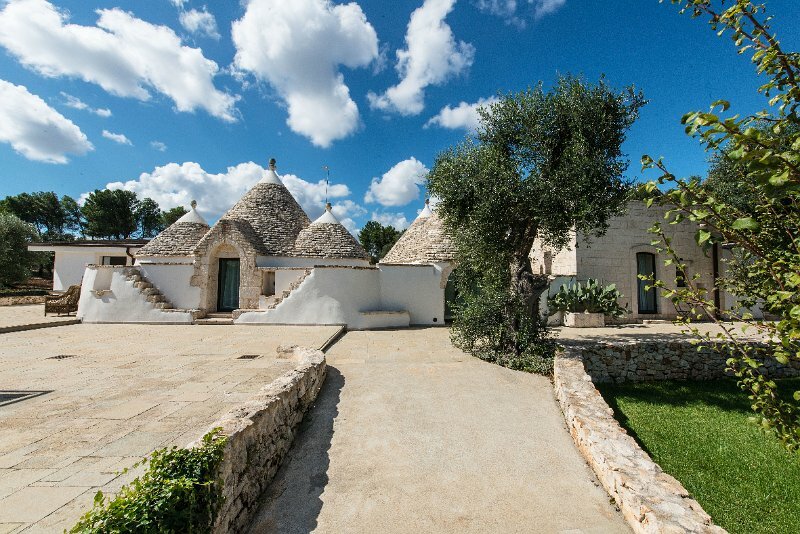 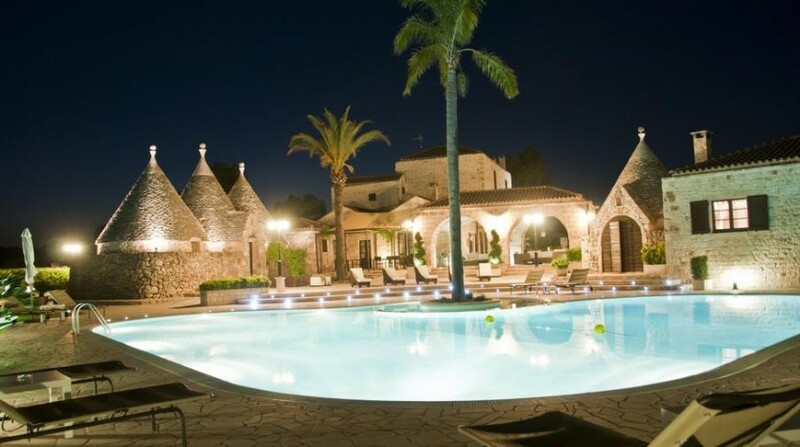 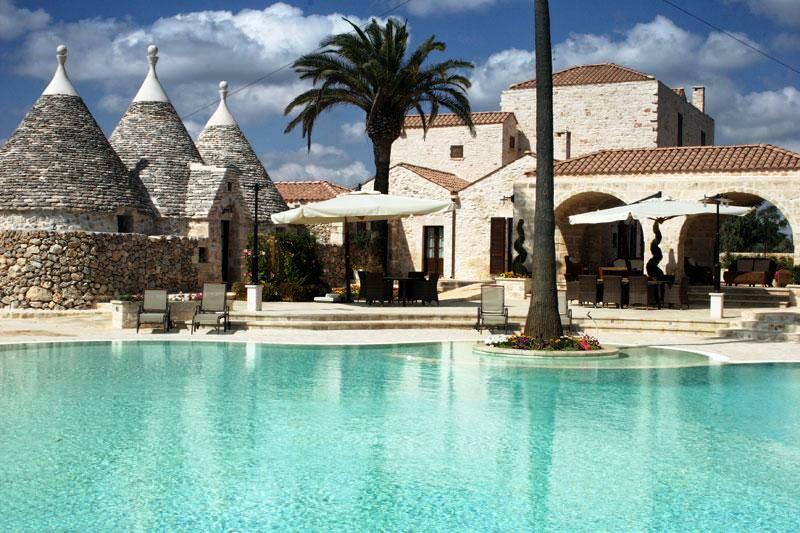 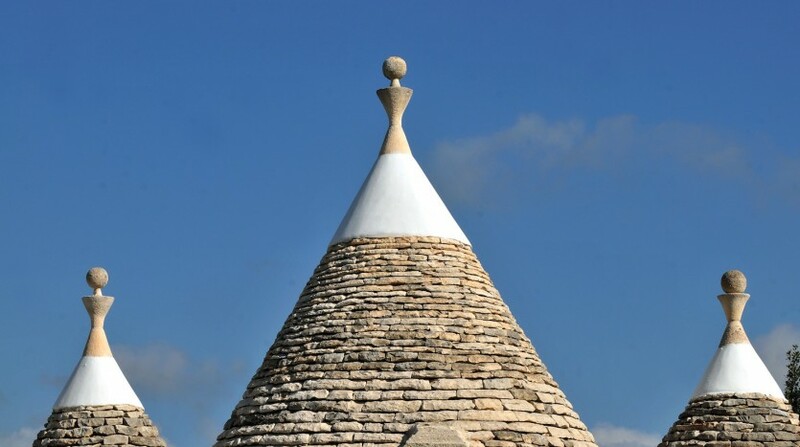 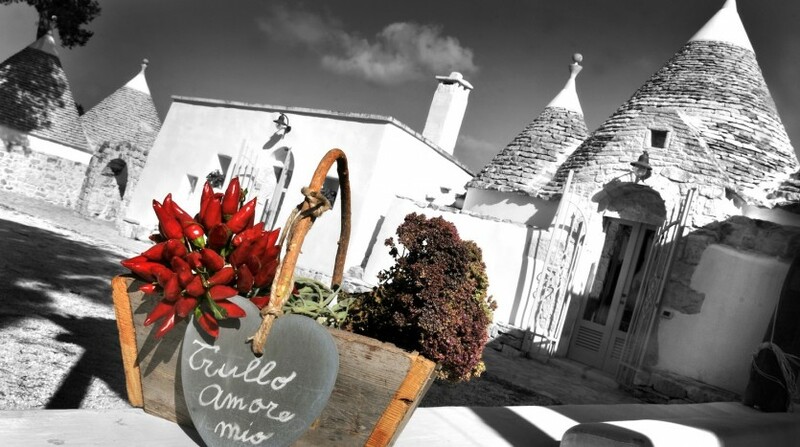 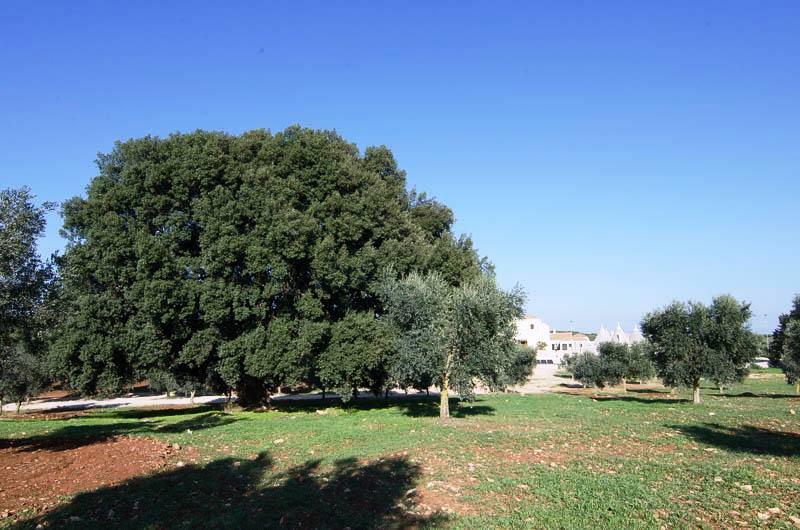 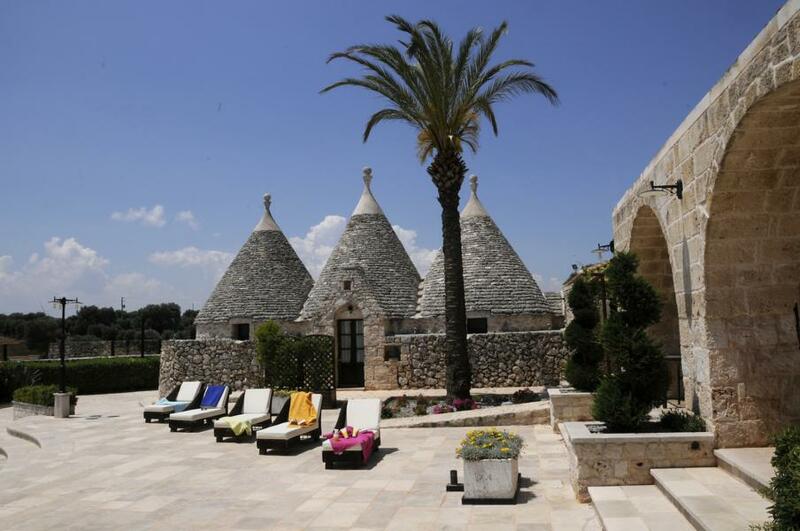 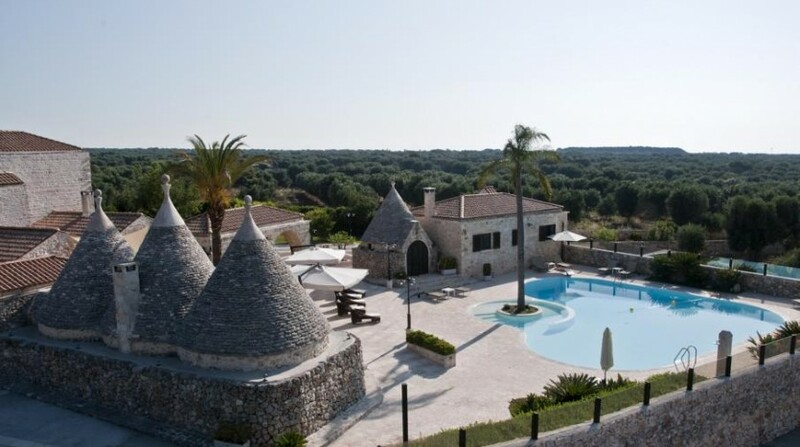 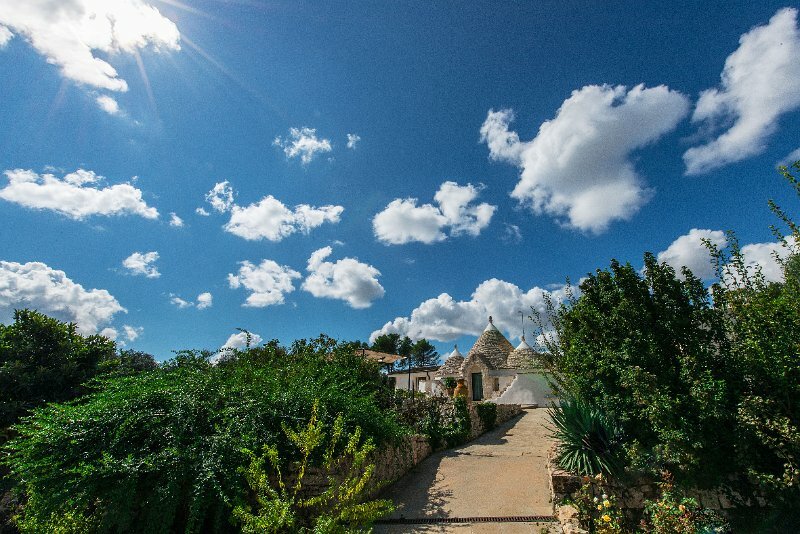 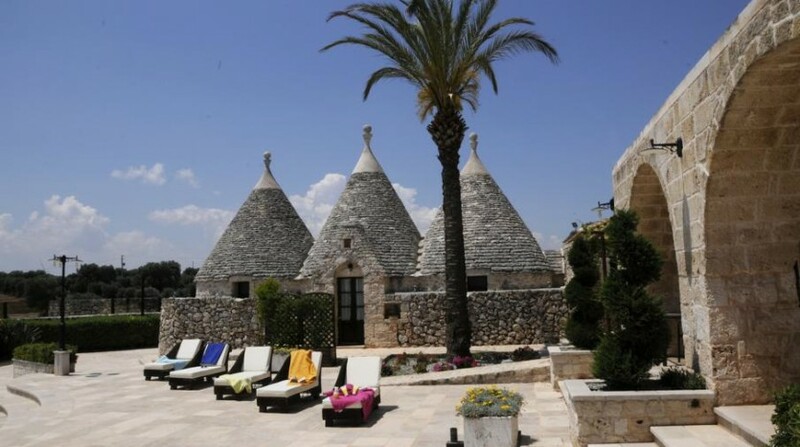 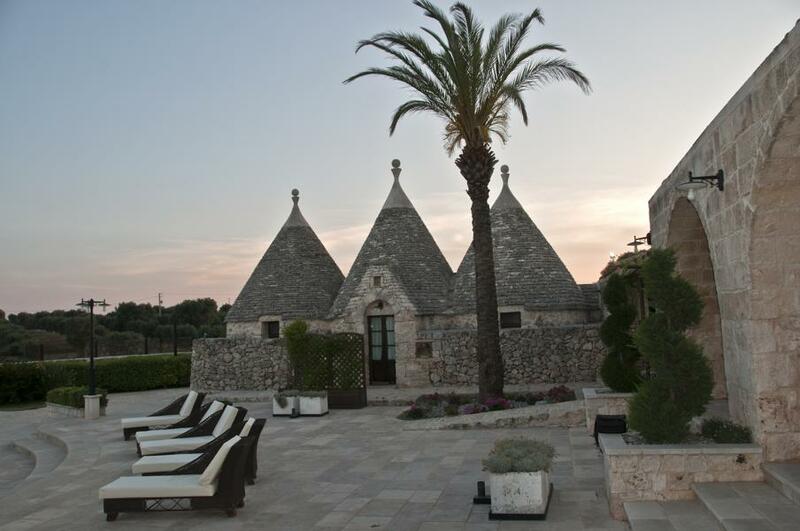 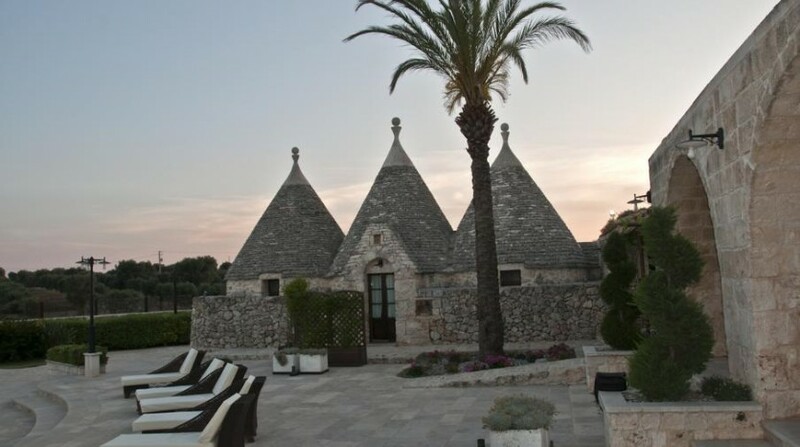 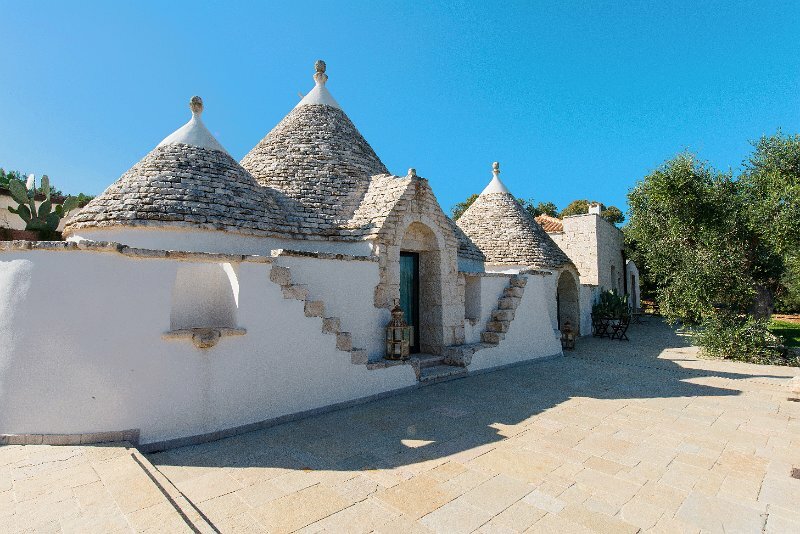 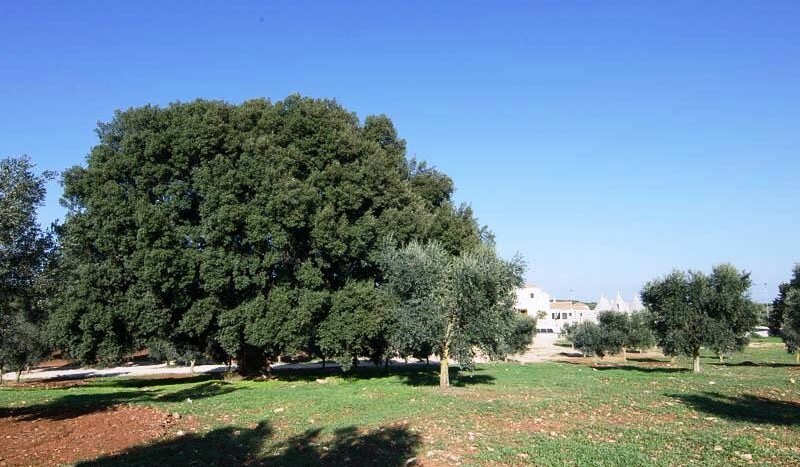 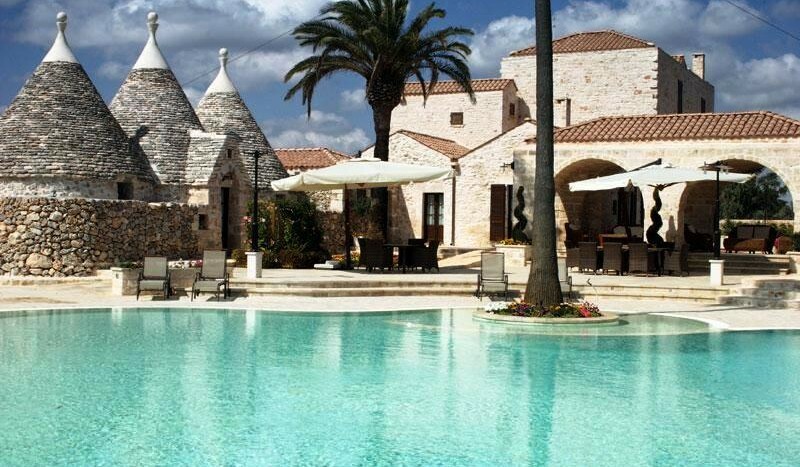 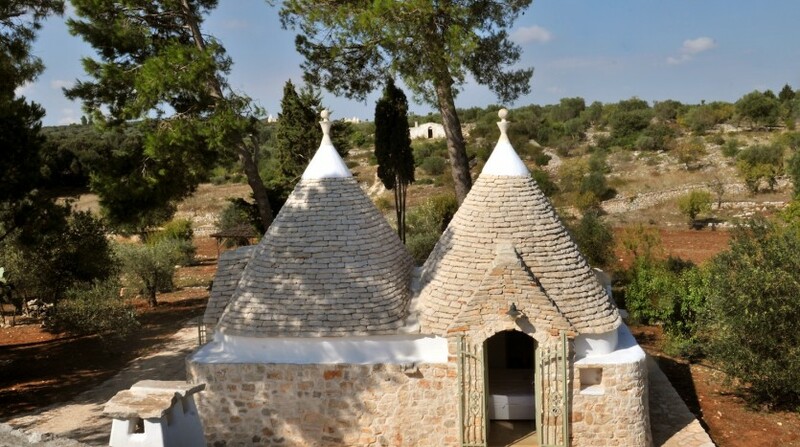 The strategic location of the Masseria allows you to easily reach the most beautiful towns of Puglia, which are in a radius of a few kilometers from the estate. 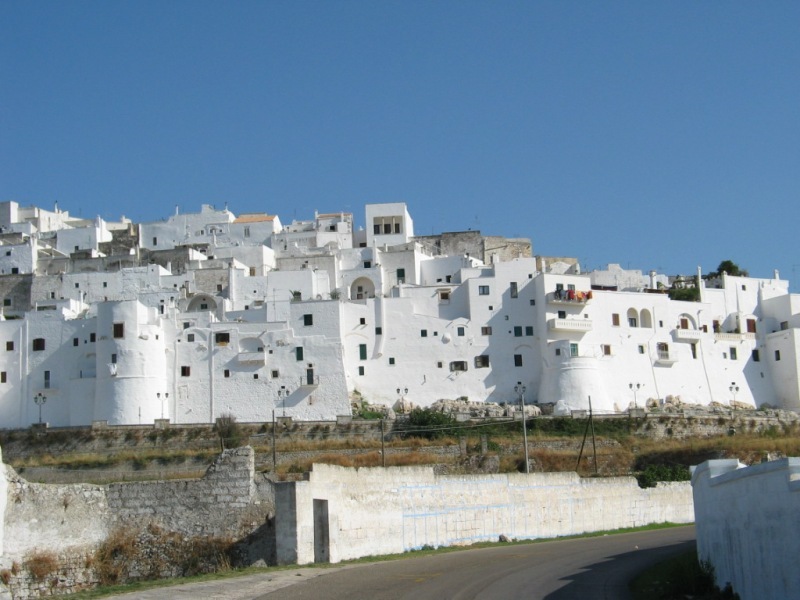 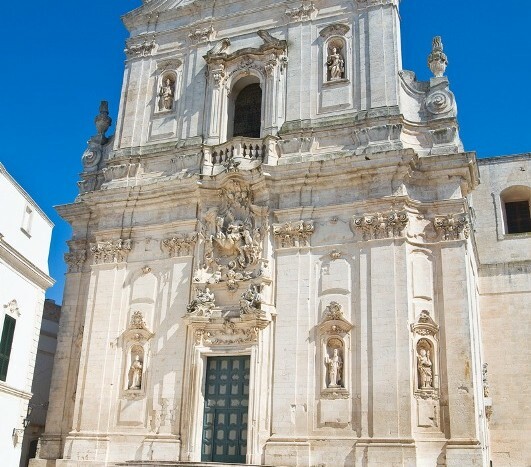 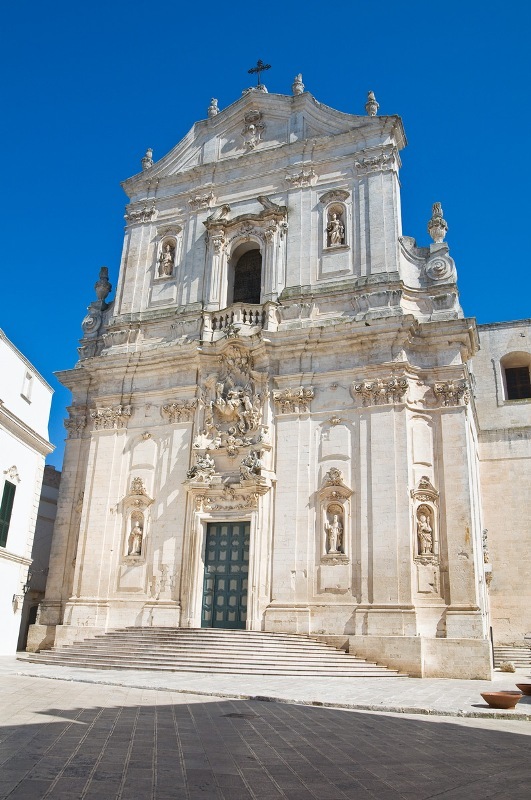 We’re talking about the towns of Cisternino, Martina Franca, Alberobello, Locorotondo and Francavilla Fontana. 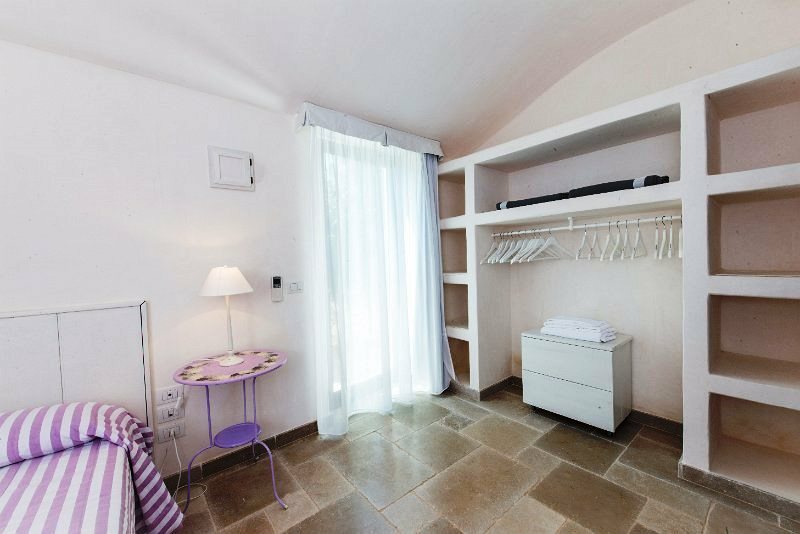 Bed linen, towels, gas, water, electricity, cleaning, WIFI Internet access. 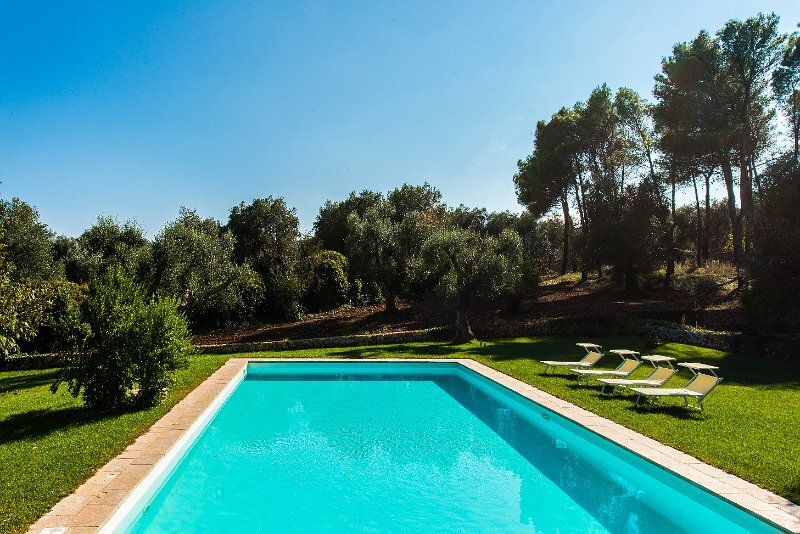 Address: Swimming pool, Quiet location Panoramic views on the natural landscape,Large garden.